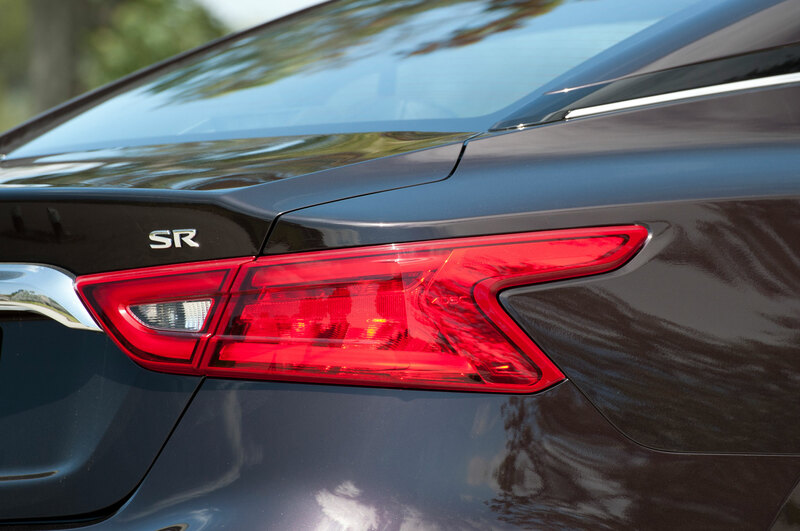 Forget sports car. 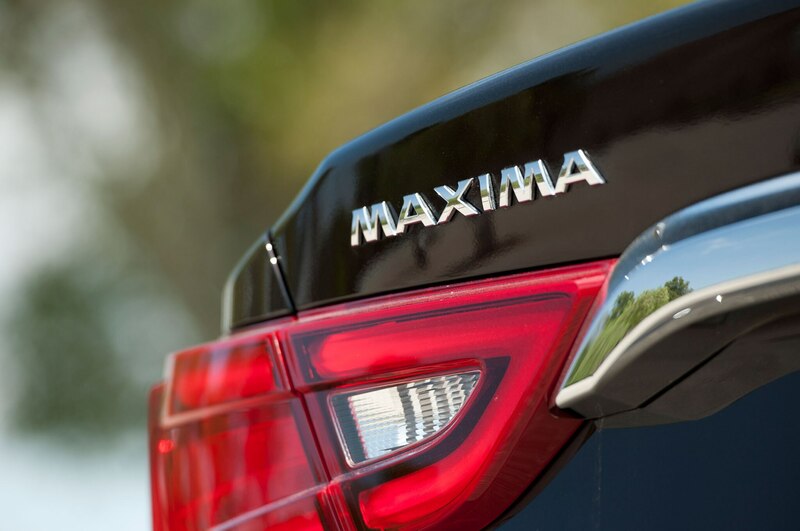 It’s a four-door luxury bargain. 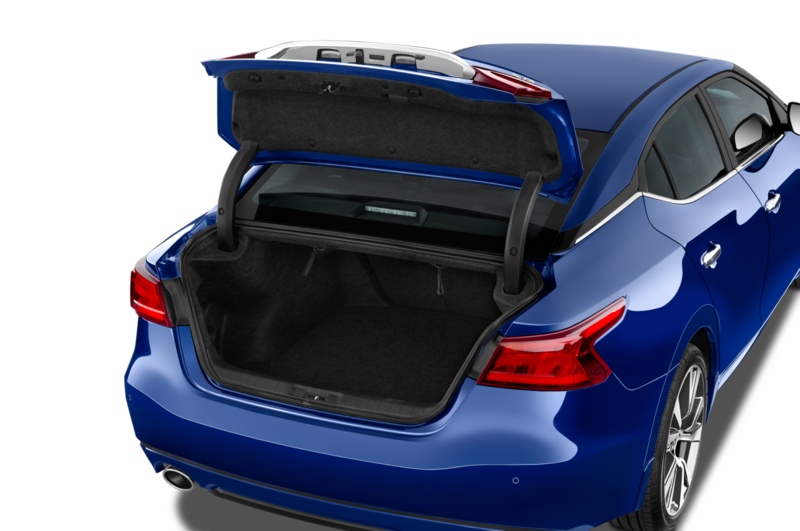 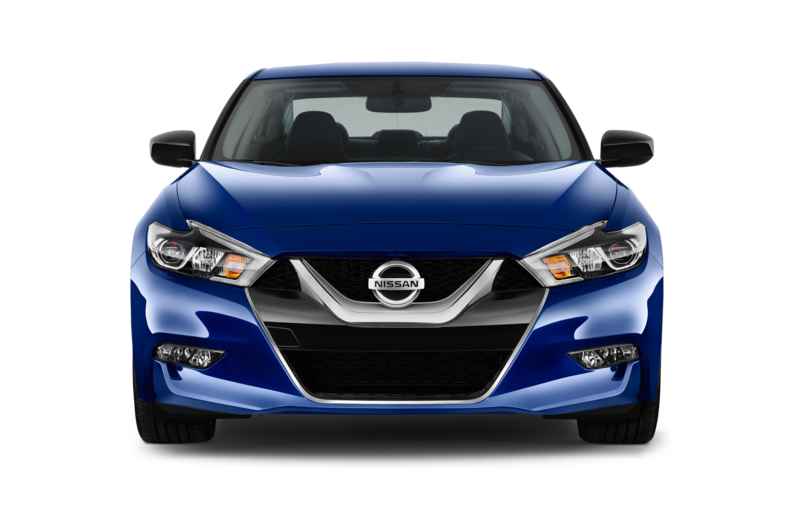 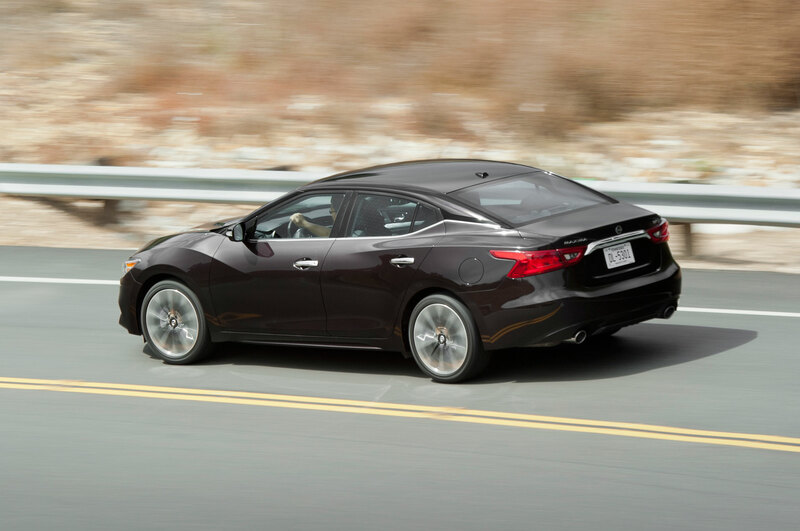 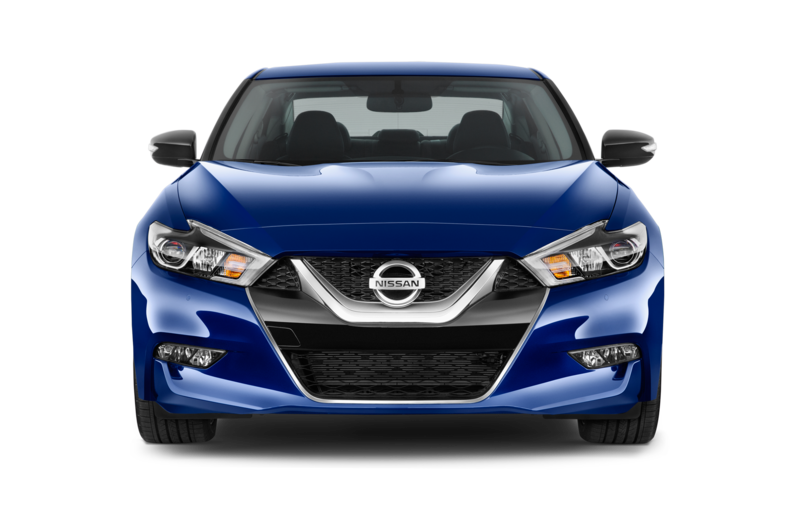 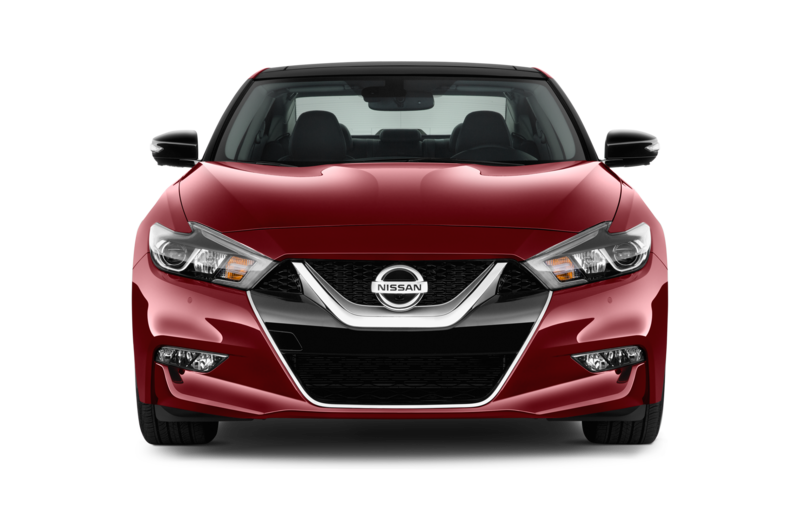 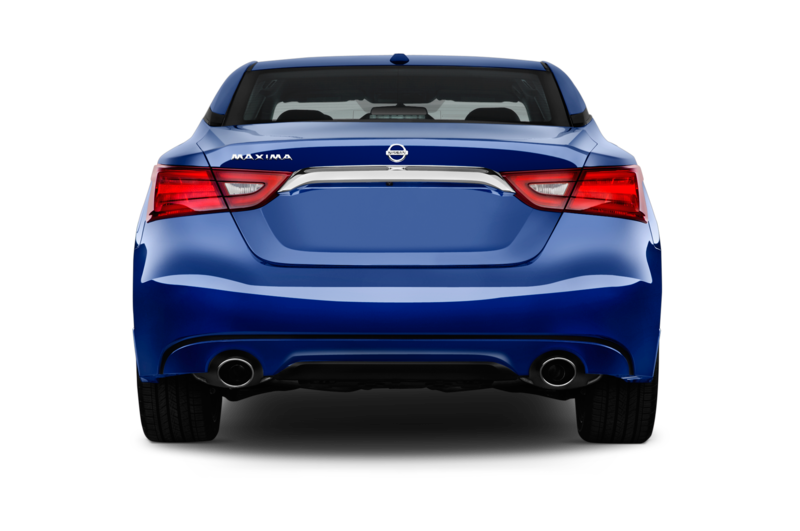 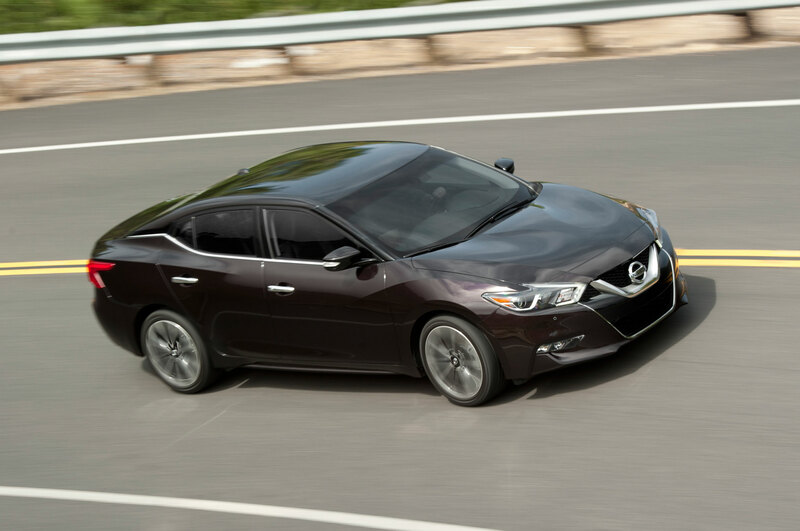 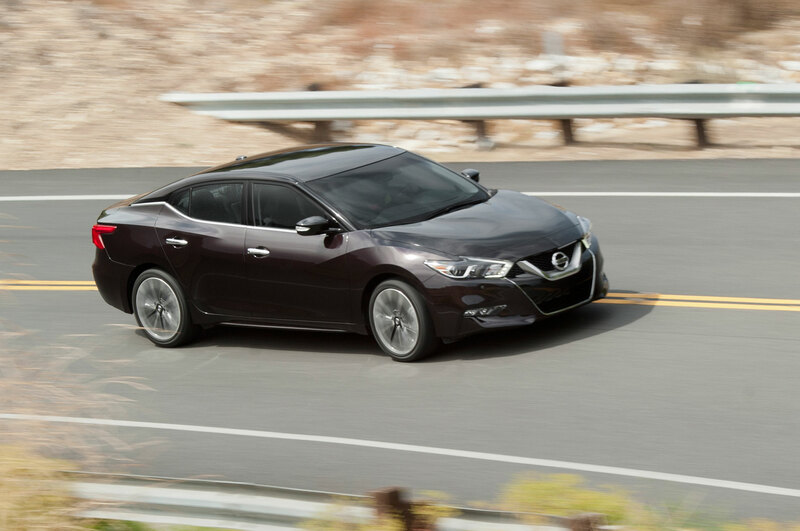 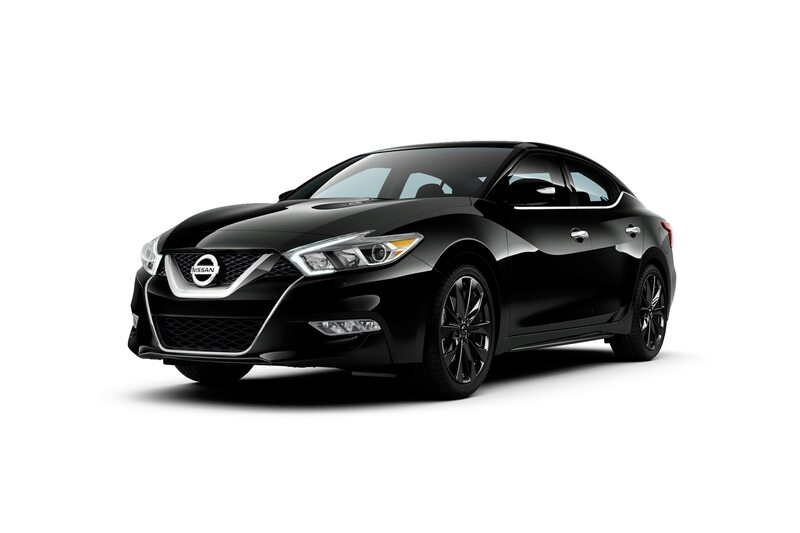 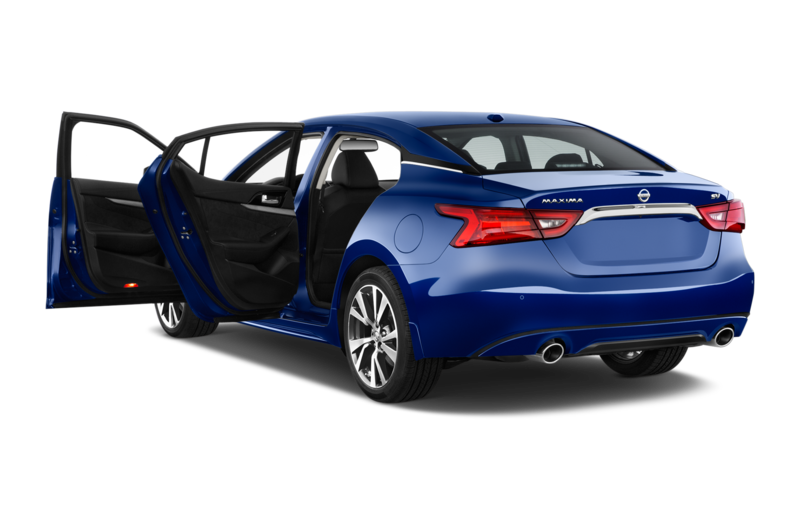 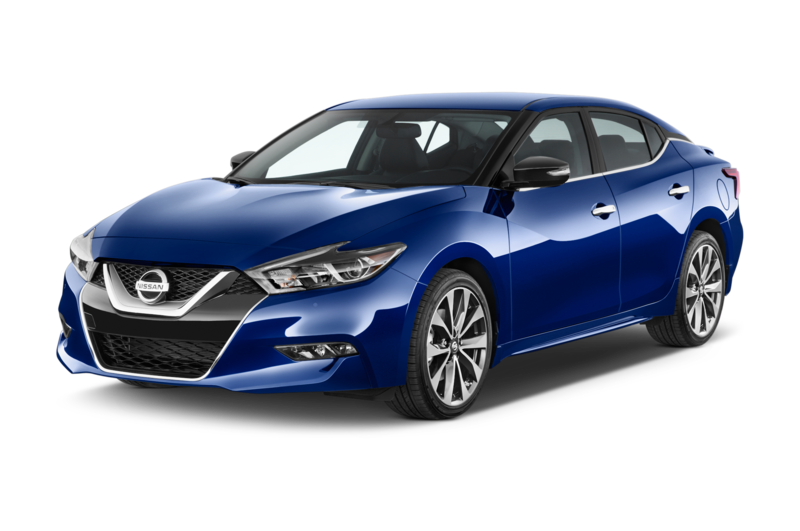 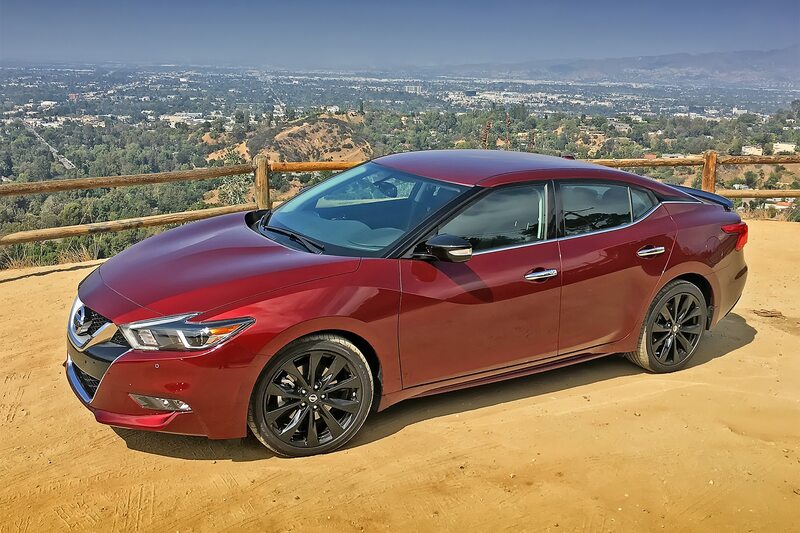 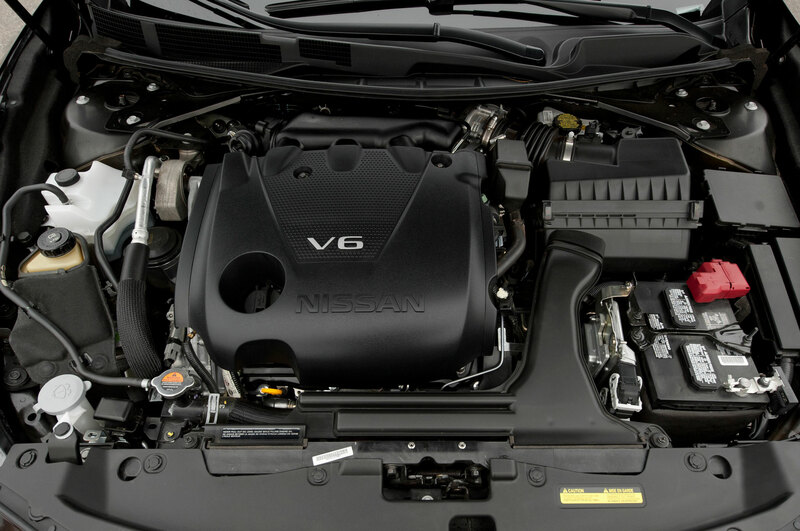 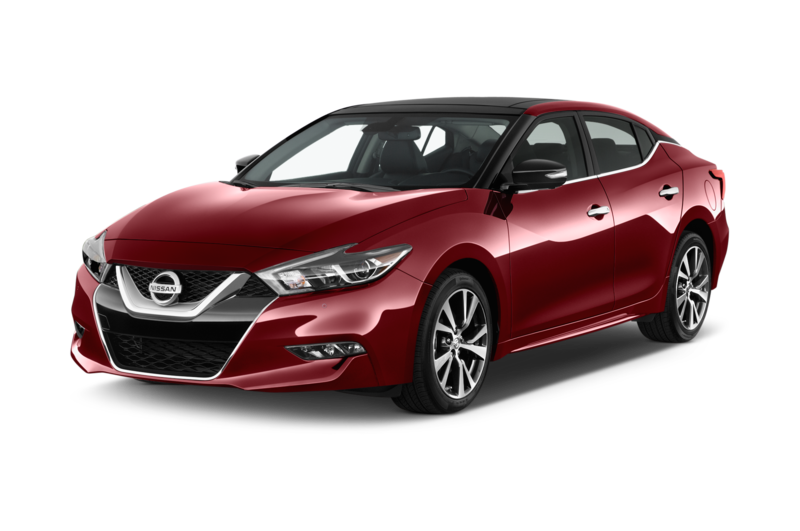 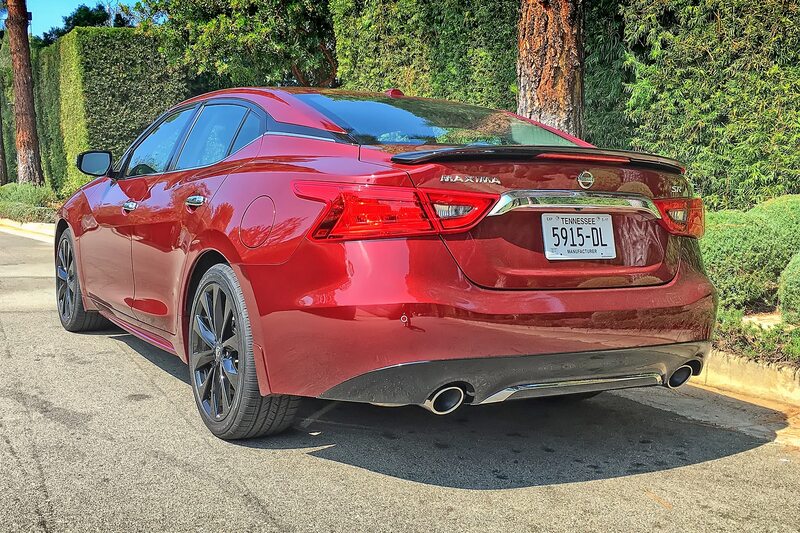 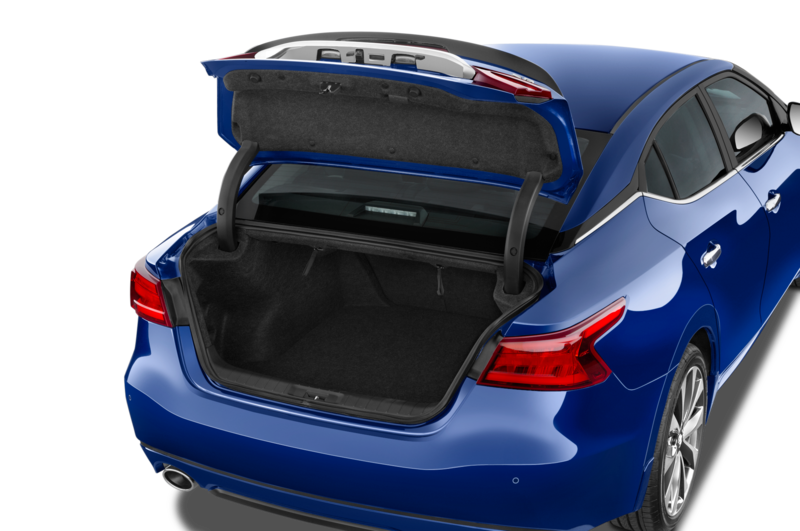 Nissan needs to stop promoting its Maxima as a “four-door sports car.” That moniker does the car a disservice, raising expectations among those seeking a pulse-raising sedan while at the same time potentially turning away buyers who don’t want a performance-prioritized machine. 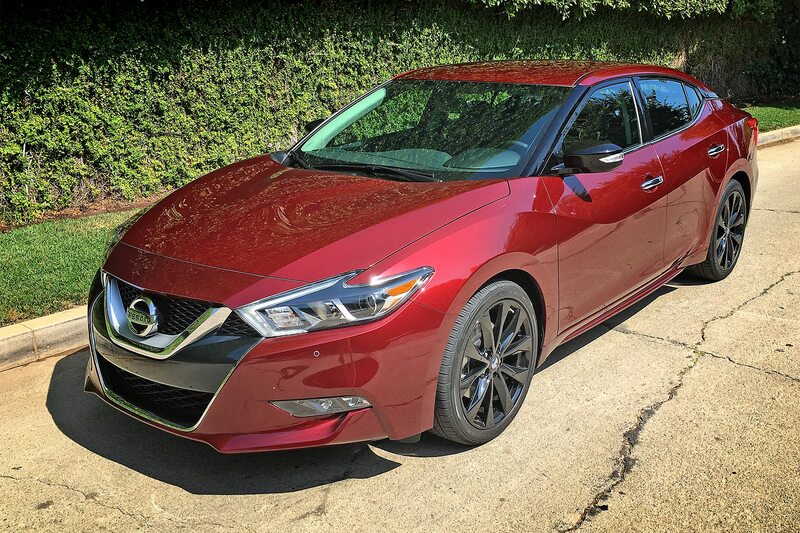 After a week driving a new 2017 Nissan Maxima SR — the most aggressive trim in the lineup — I can tell you what the car really is: an extremely comfortable, lavishly equipped, fine-driving full-size sedan that delivers a ton for the dollar. 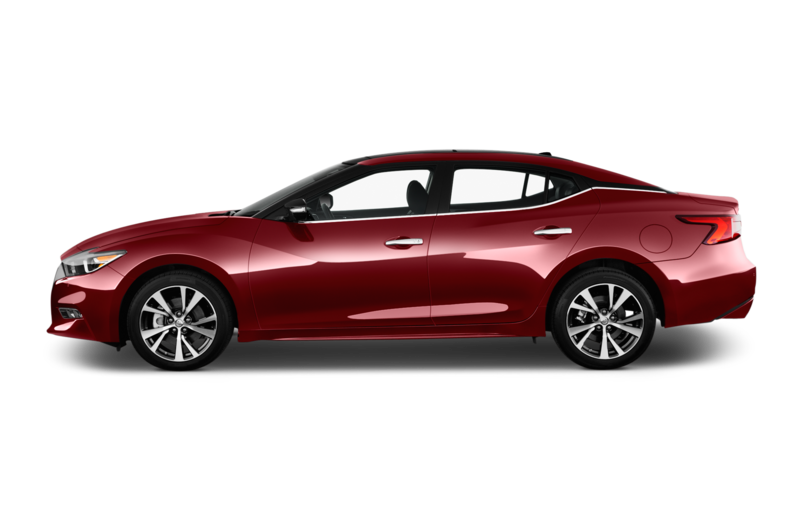 A sports car, though, it isn’t. 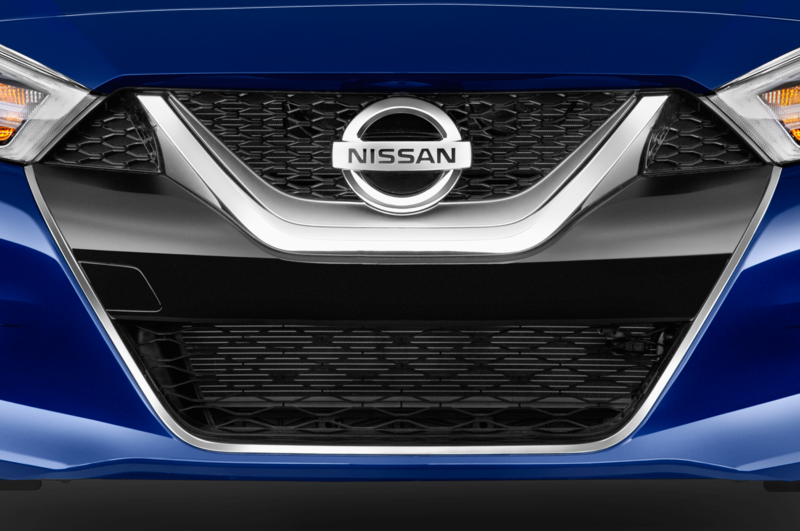 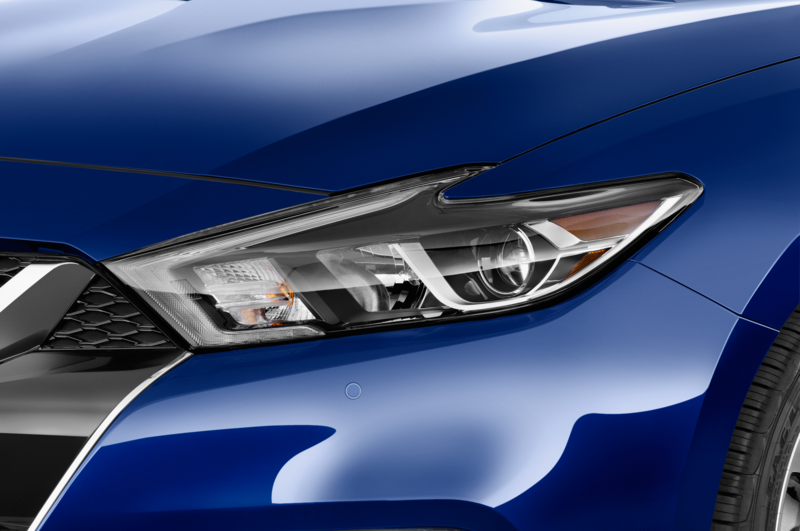 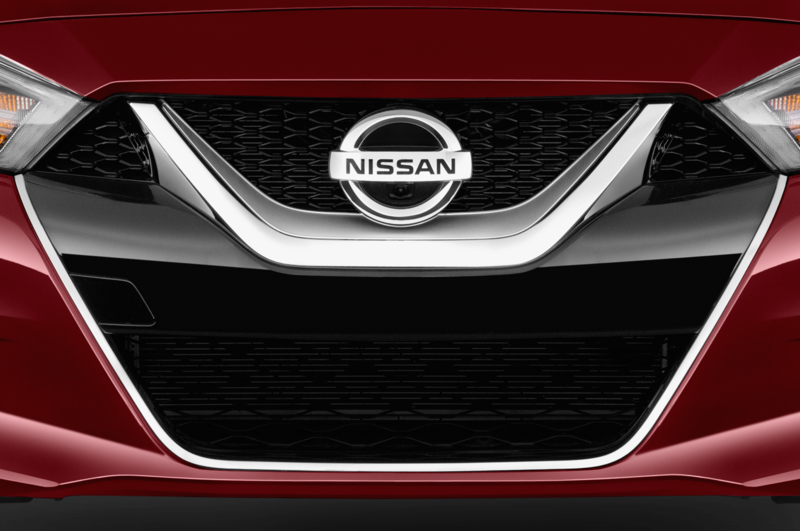 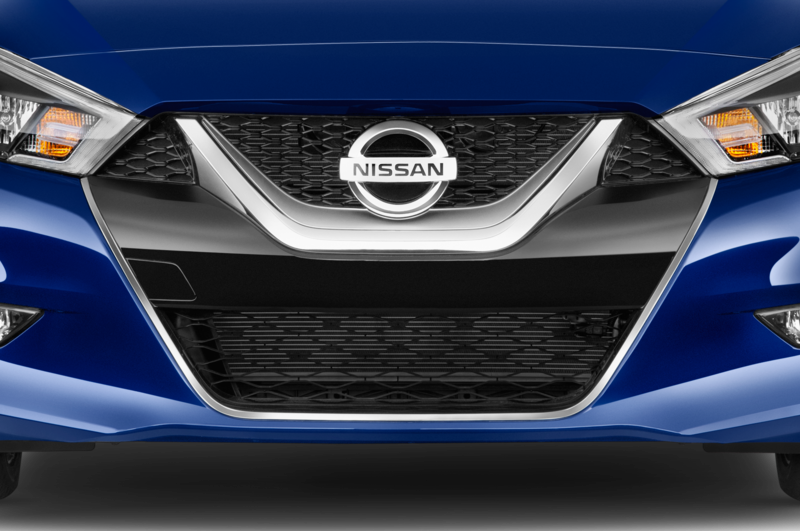 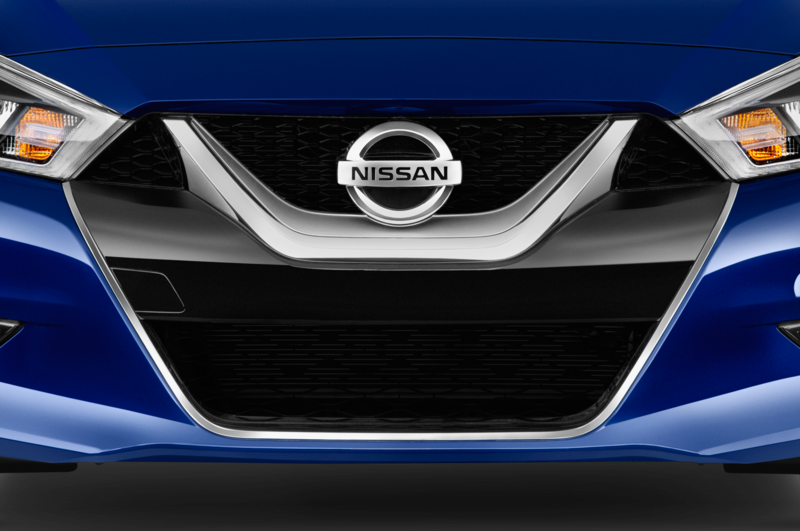 You could call the Maxima’s front end overwrought (I do), but otherwise this is an attractive package with lots of interesting swoops and chiseled edges. 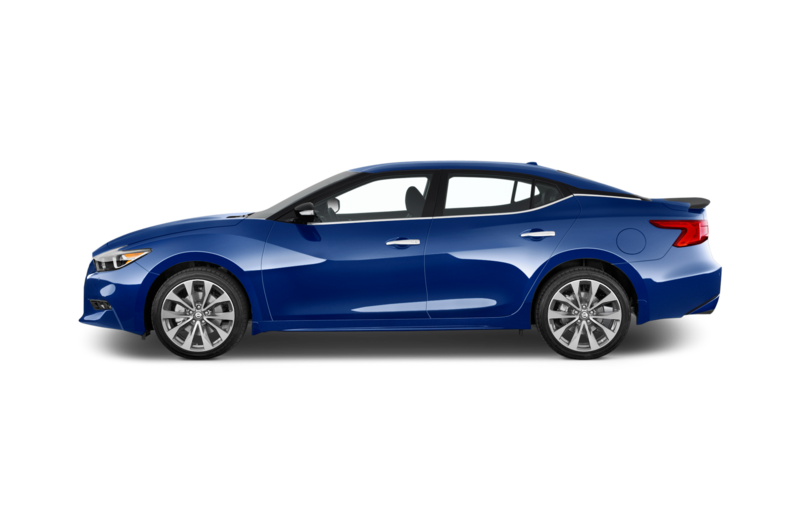 I got lots of “nice car!” comments and “how do you like it?” questions from appreciative passers-by. 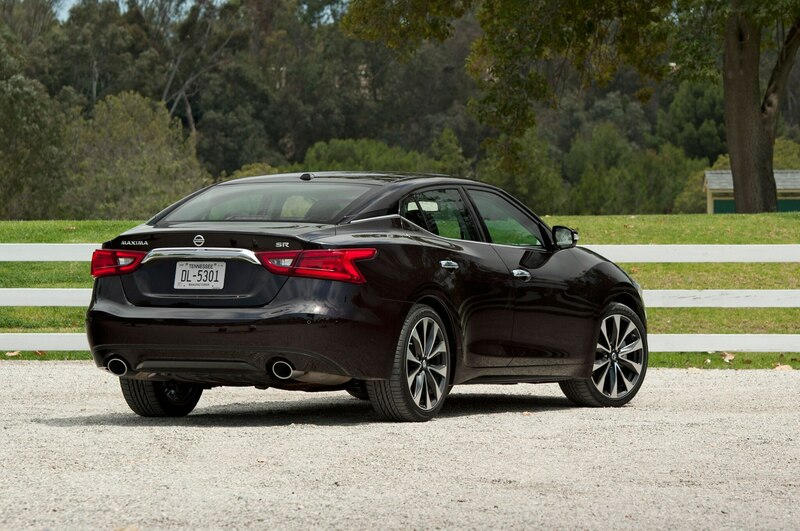 Especially when tricked-out in Midnight Edition guise (a $1,195 option that adds 19-inch gloss-black alloy wheels, a rear spoiler, and a rear diffuser), it looks far racier than similarly sized competitors like the Toyota Avalon and the Kia Cadenza — enough so that you’d be forgiven for expecting to find an athlete worthy of Usain Bolt underneath. 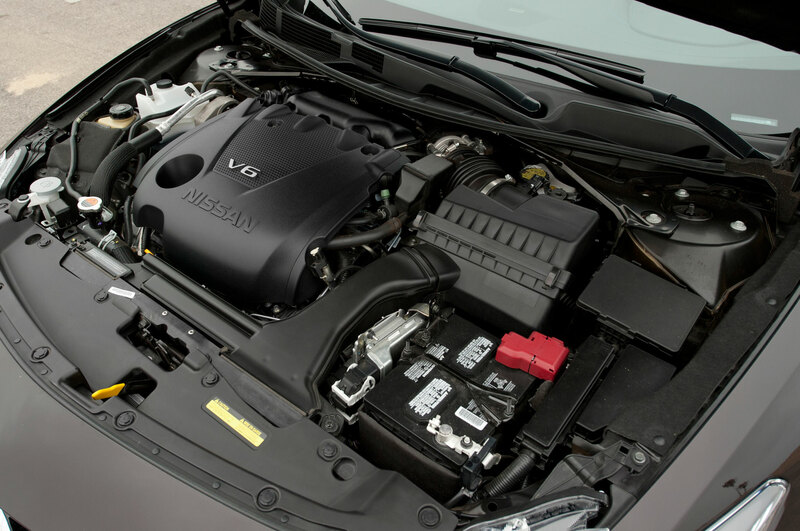 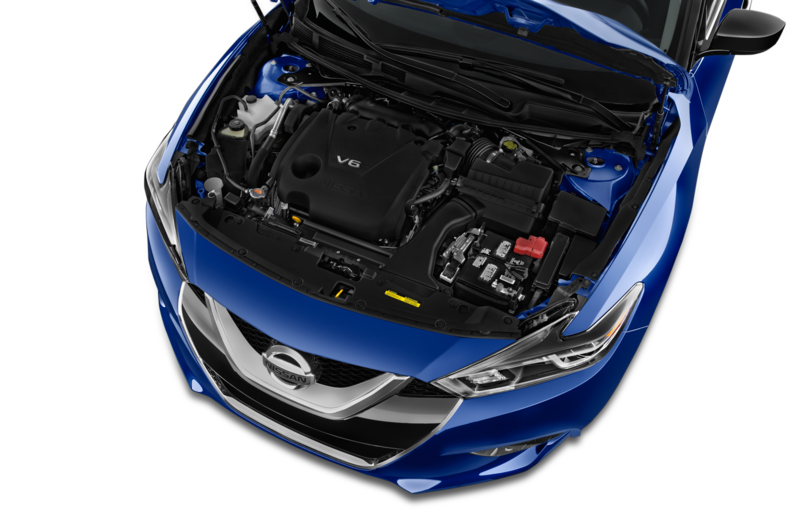 There’s good power on tap — 300 hp from the familiar twin-cam, 3.5-liter six. 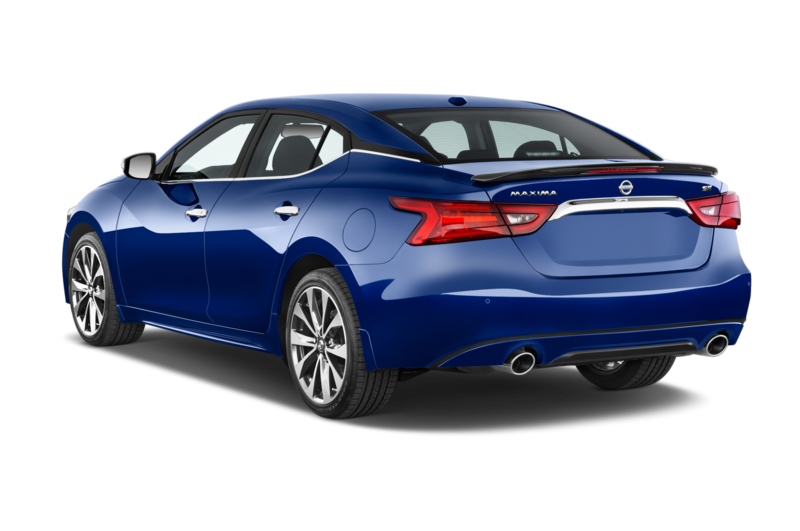 The thing is, the Maxima doesn’t do a lot with those ponies. The chief hindrance is the standard continuously variable transmission. 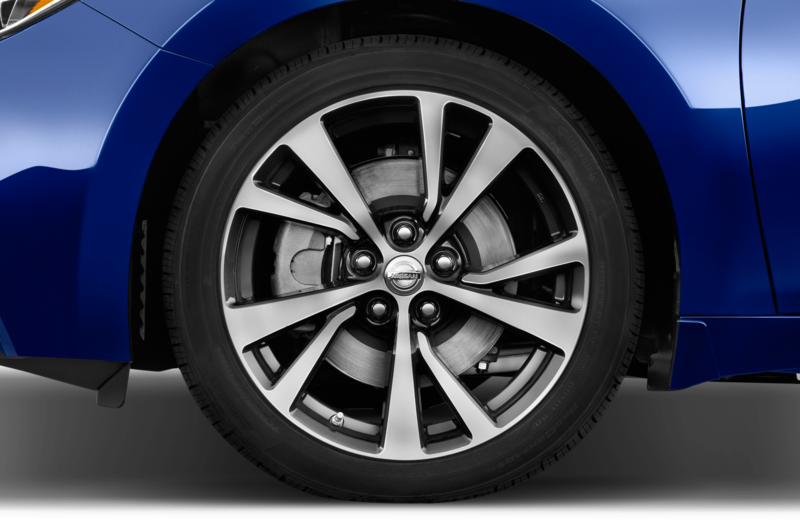 It’s not sporty. At all. 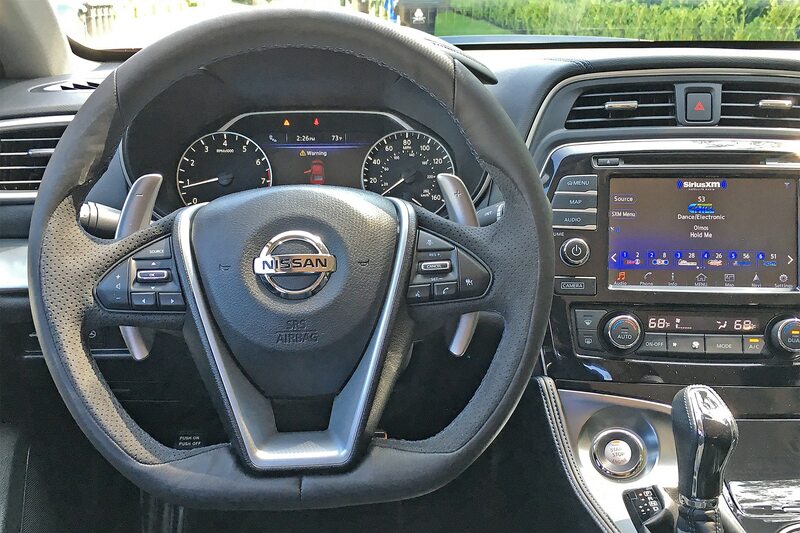 Yes, you can shift manually using paddles mounted behind the wheel and, yes, you can switch the Drive Mode selector into Sport and shift behavior gets sportier, but never is the powertrain much fun when you’re hustling on a twisty road. 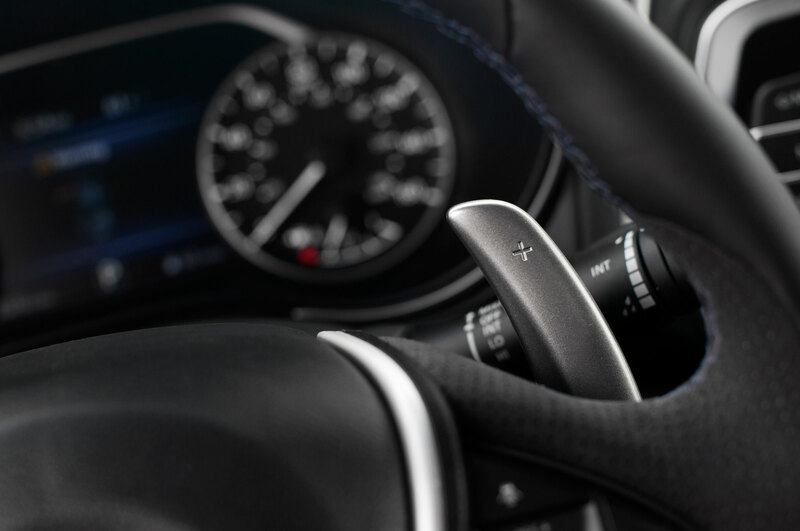 Click the left paddle for a downshift as you approach a corner and the CVT responds — eventually. 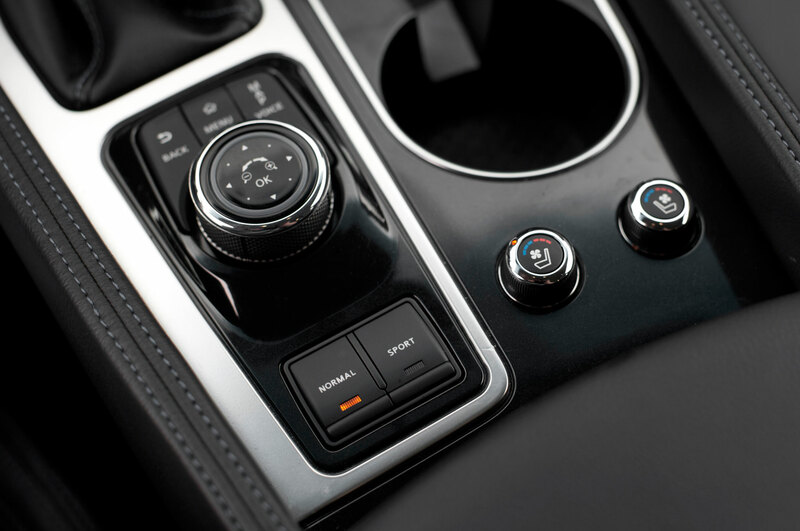 There’s nothing crisp or exciting about shifting up or down; instead, the transmission feels as if it would rather be left alone, free to whir into whatever ratio it sees fit. That’s the problem here: “CVT” and “sports car” are mutually exclusive terms. 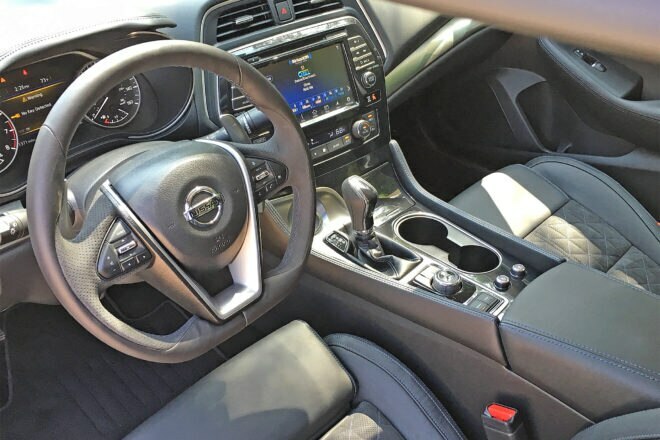 These days, with excellent automatics and harder-core dual-clutch transmissions so common, the Maxima’s CVT is a letdown. Not much about the Maxima’s front-drive layout says “sports car,” either. In SR trim, the suspension gets stiffened while the standard Drive Mode selector offers a Sport setting that firms-up the chassis even further (in addition to the aforementioned tweaks to the CVT, Sport mode also quickens throttle response, increases steering effort, and boosts the exhaust note). 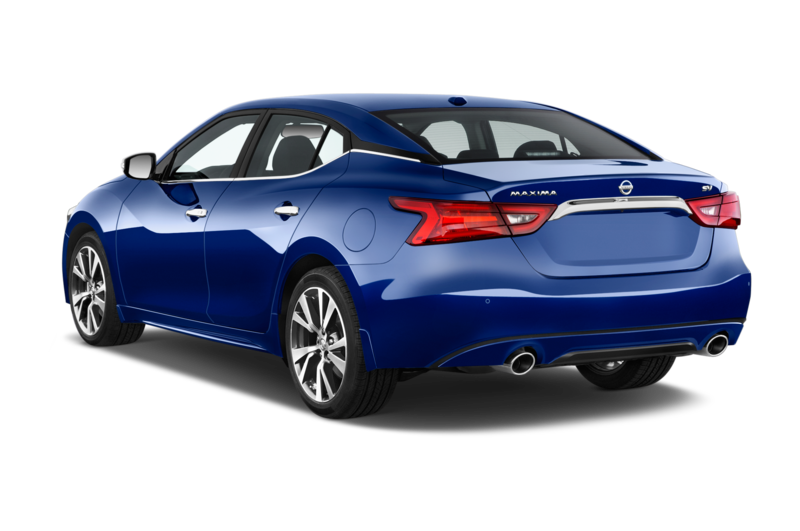 Still, when pushed hard, the Maxima pushes back. 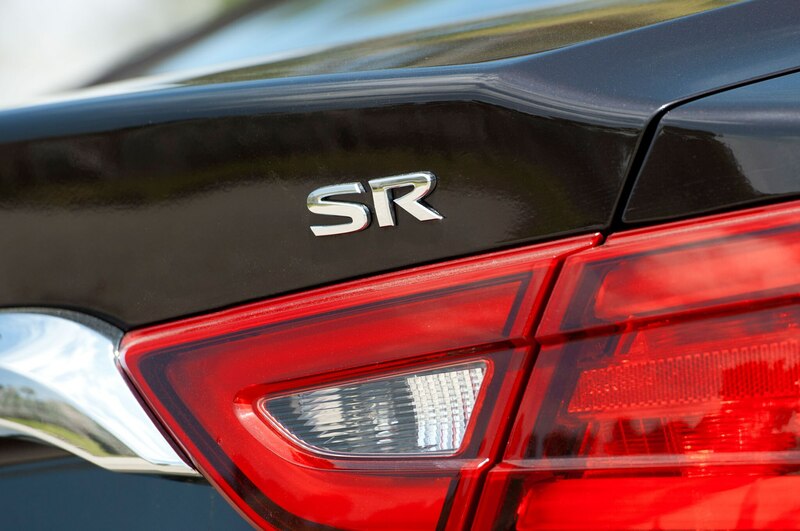 The chassis grips the road well and the steering does a solid job, but ultimately, the SR wants to understeer in a big way. On a track, you might try a few workarounds (say, dumping the throttle mid-corner to unseat the rear end for some pivot), but on a public road that would be lunacy (that’s the term for attempting to drive at or even near the limit anywhere outside of a closed course). 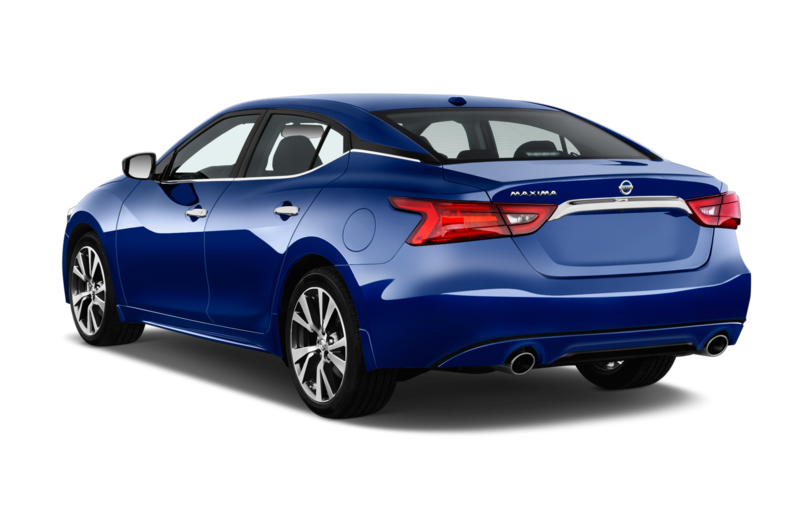 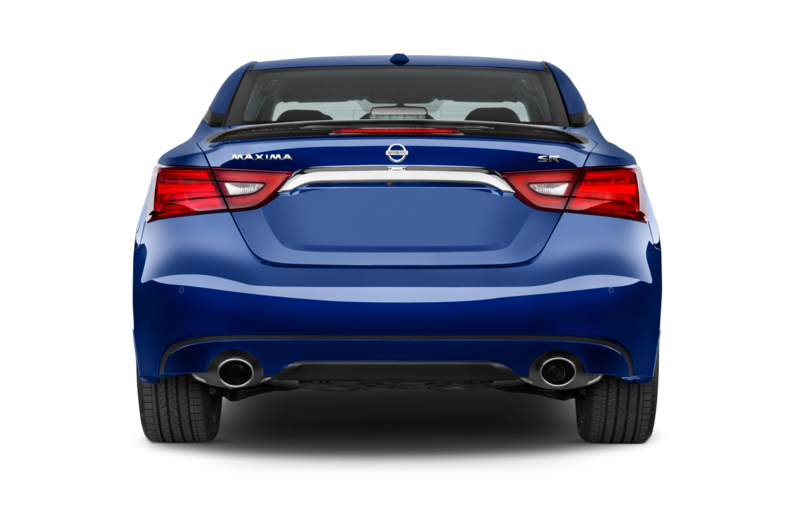 All of the above being said, though, the Maxima SR is actually a sweet automobile. 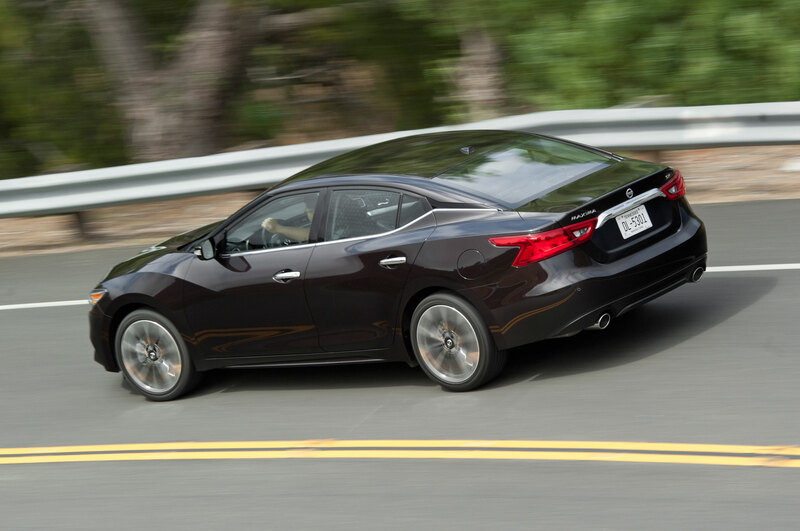 Don’t climb behind the wheel expecting a thrill ride and you’ll be well-rewarded. 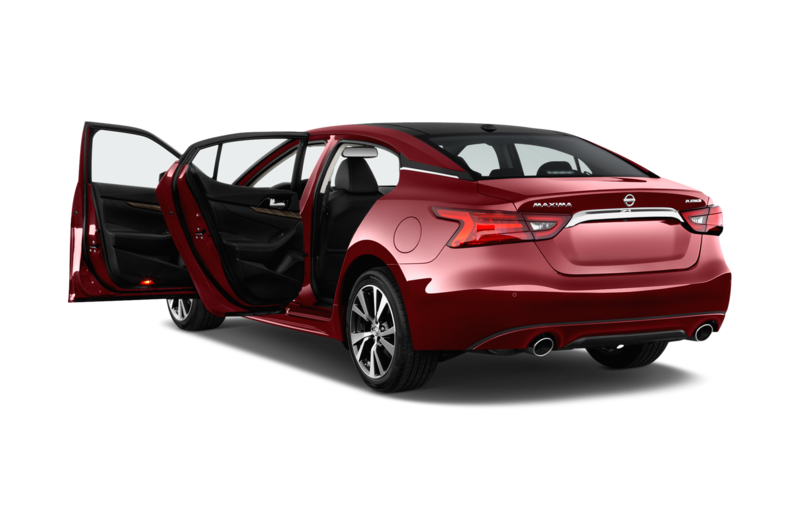 For one thing, the cabin is huge. 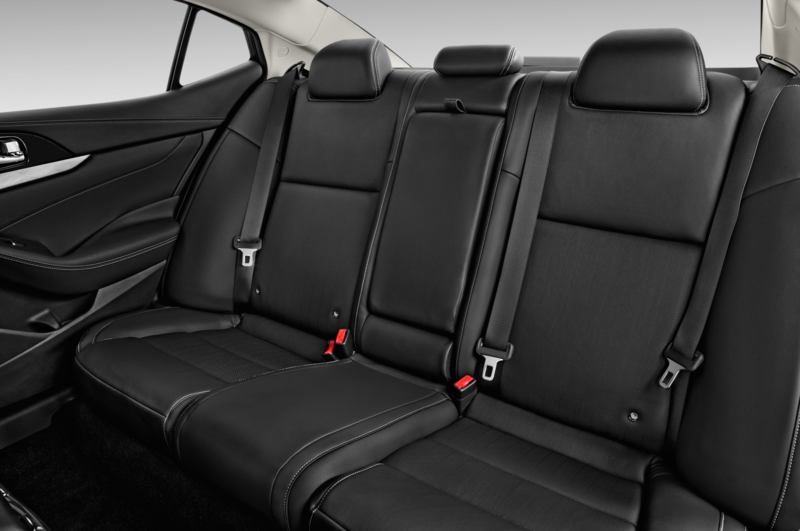 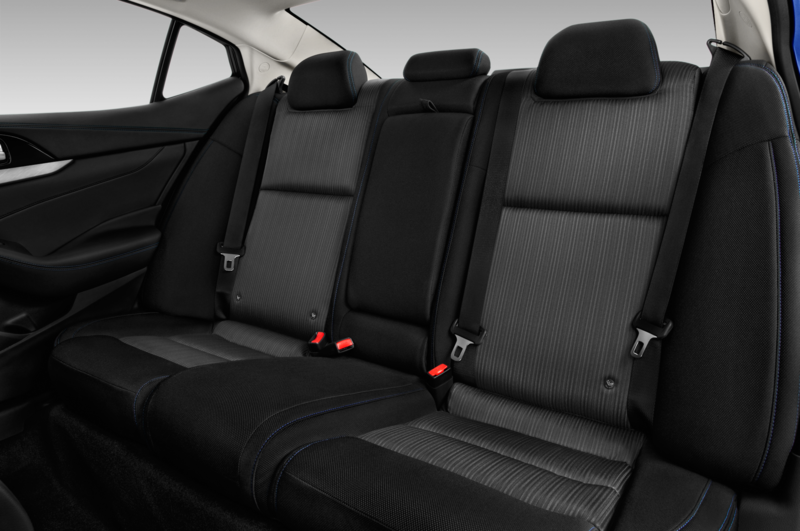 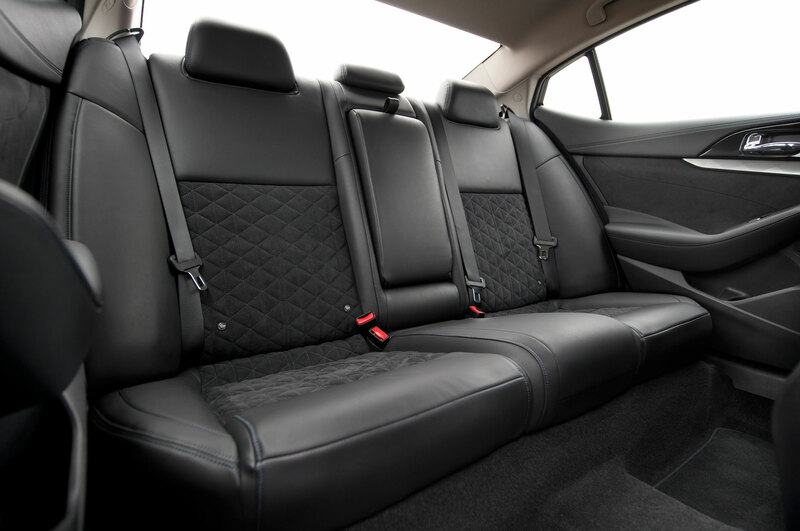 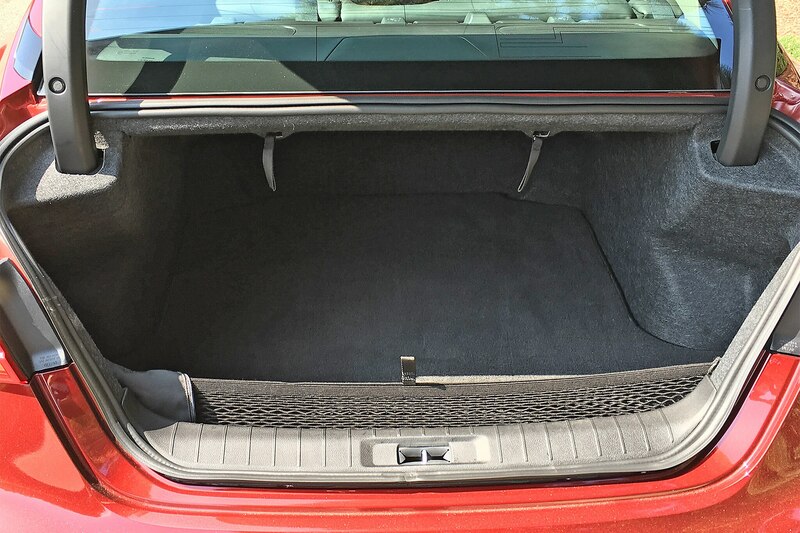 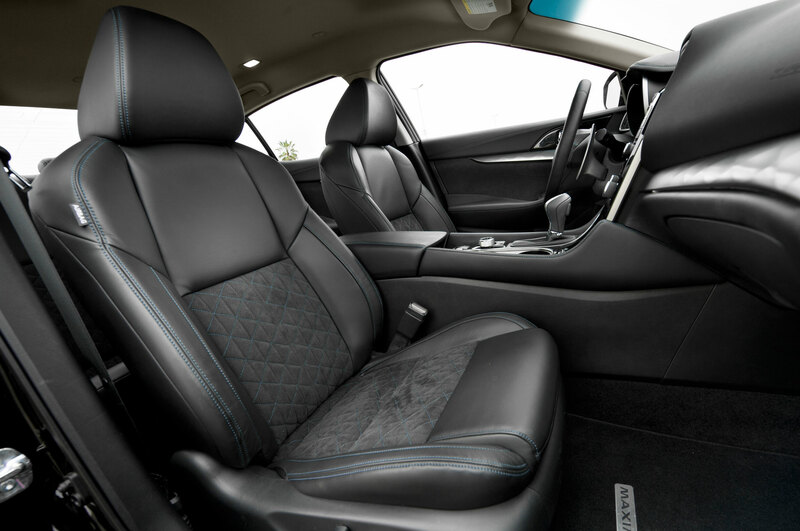 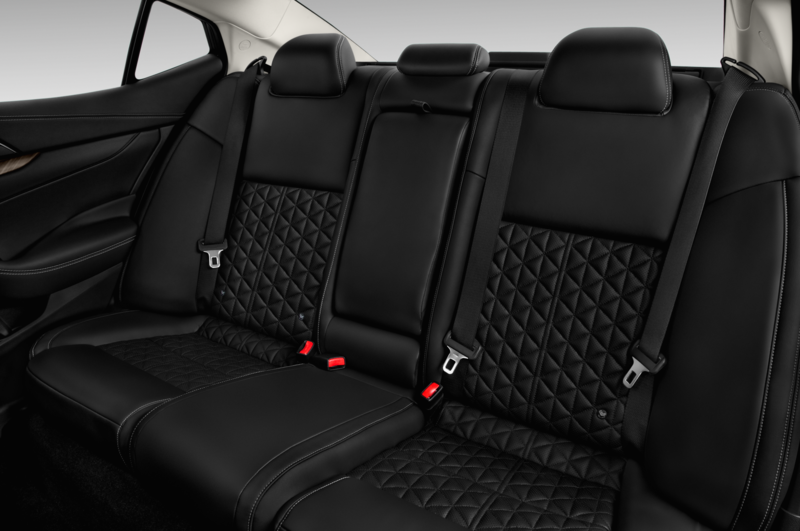 My 16-year-old daughter, riding in the back seat, exclaimed after just a few minutes: “Daddy, why didn’t we have this car for that four-hour trip last week?” I looked around and, sure enough, the abundant legroom and comfortable bench just swallowed her up. 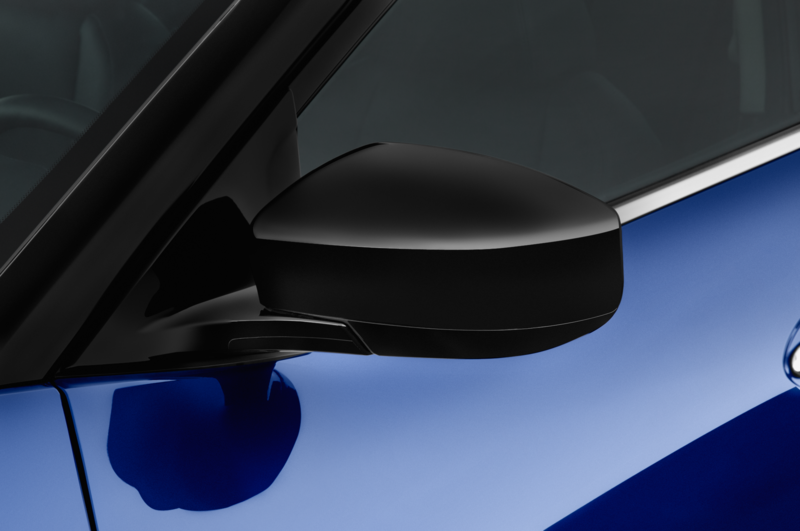 A few minutes later, she was fast asleep. 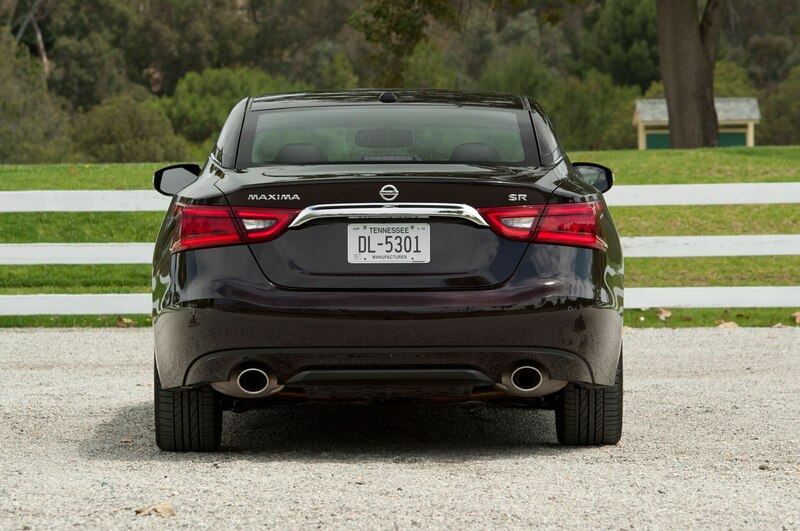 The Maxima SR is also relentlessly obliging. 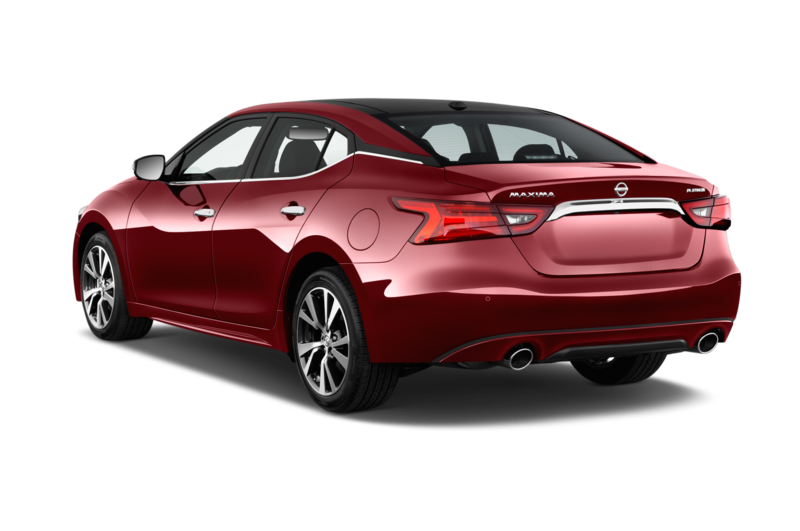 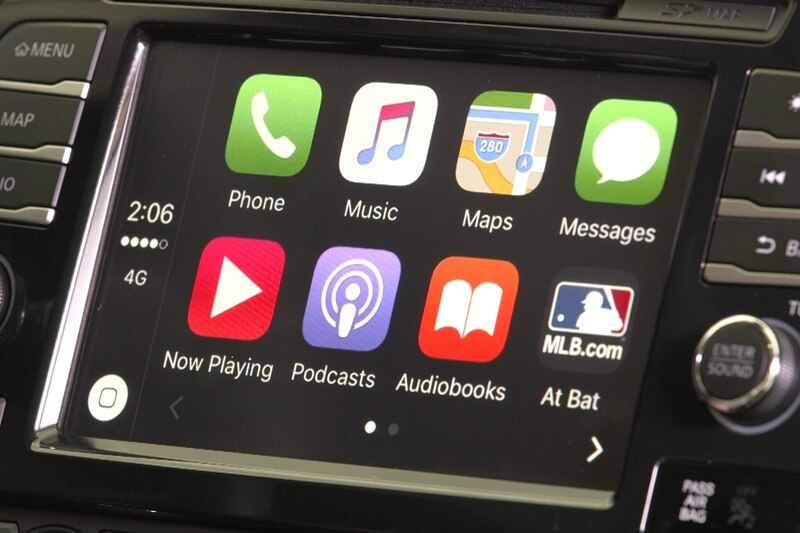 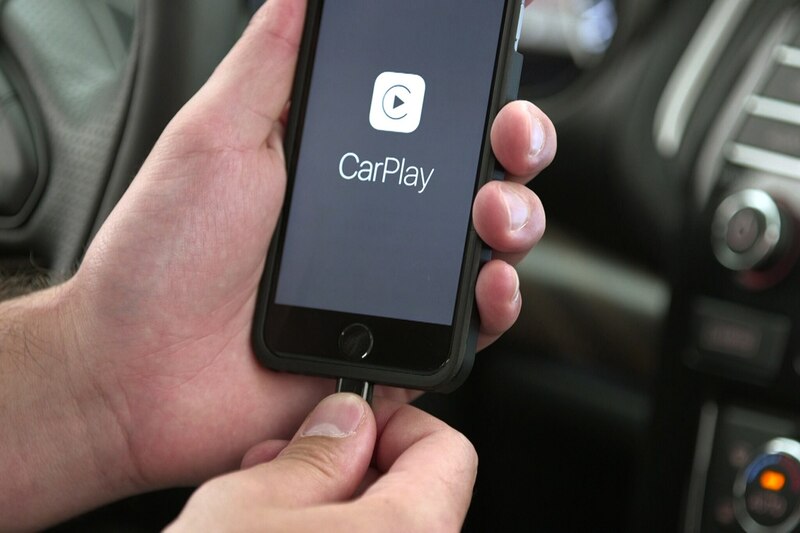 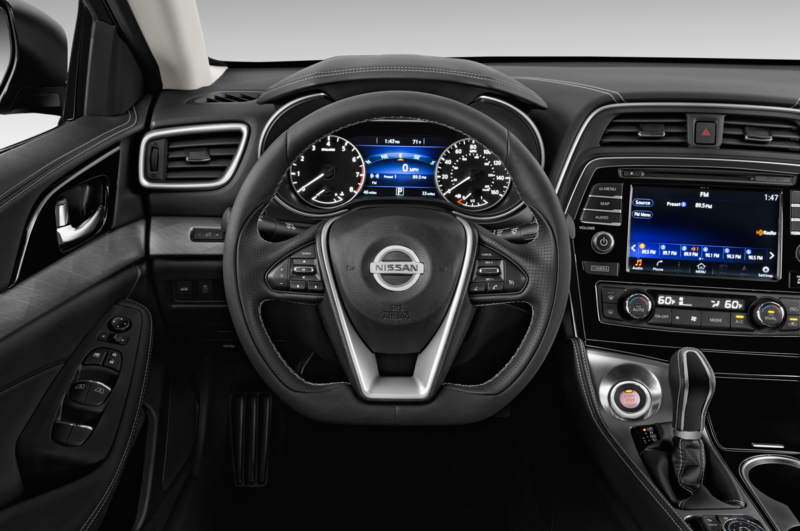 Nearly every feature you could want is standard, from leather seats with premium diamond-quilted Alcantara inserts to an 8-inch color nav screen with Apple CarPlay (new for 2017, it’d be appreciated on our Four Seasons 2016 Maxima), a rear-view monitor, heated and ventilated front seats, keyless entry and start, dual-zone climate control, an excellent 11-speaker Bose surround-sound audio system with SiriusXM satellite radio and traffic, and much more. 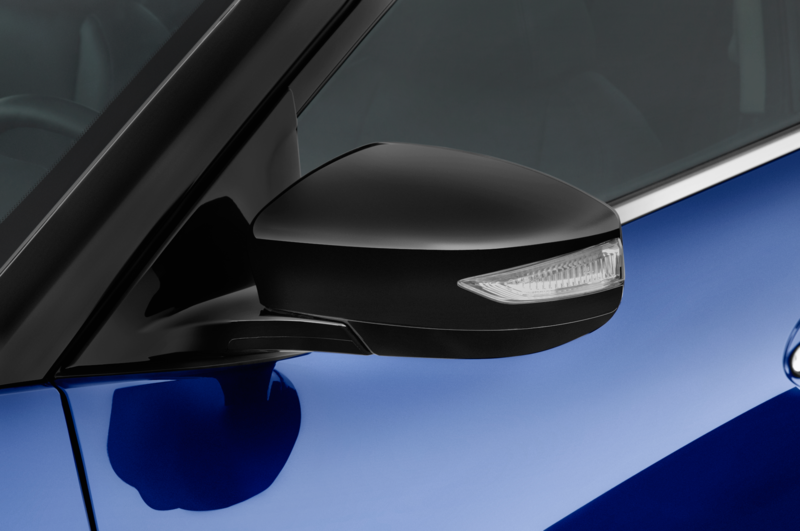 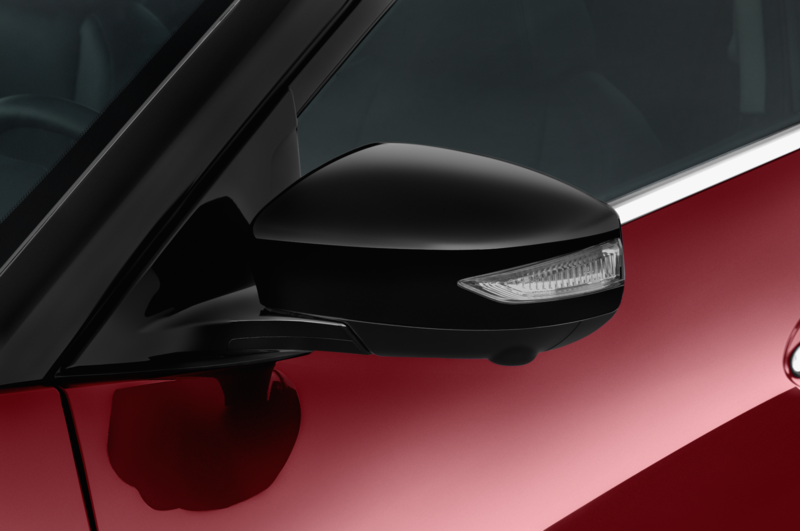 Standard safety gear includes blind-spot warning (with rear cross-traffic alert) and automatic emergency braking with predictive forward-collision warning. 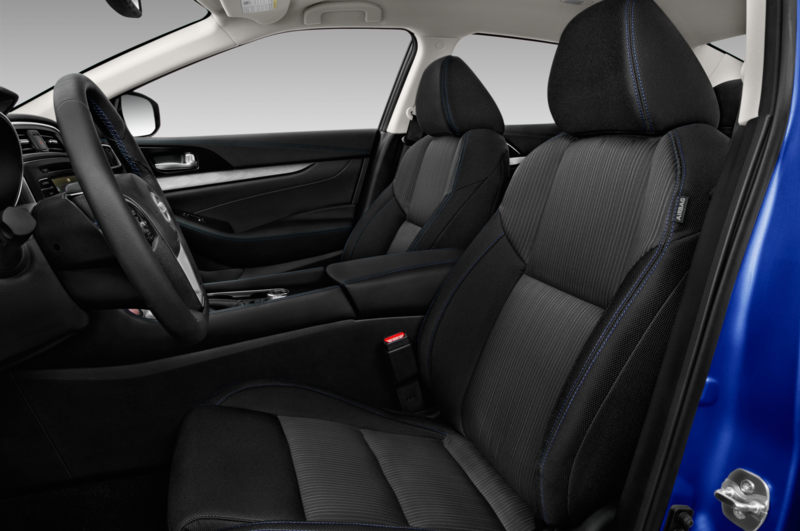 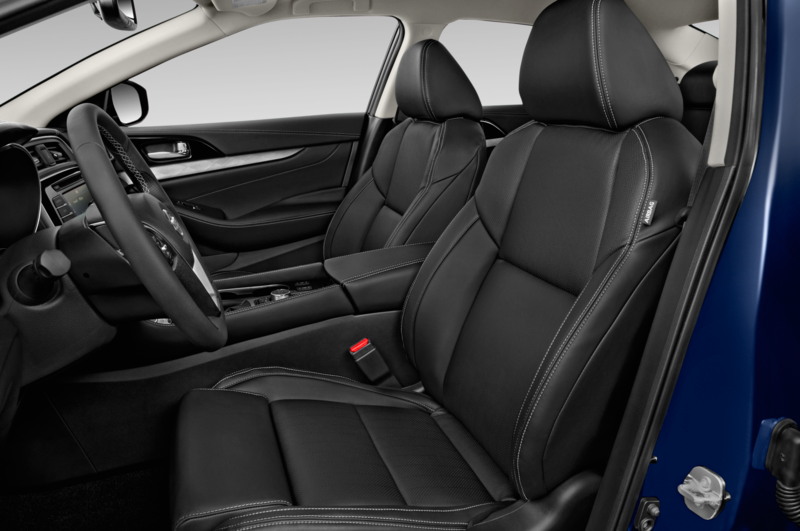 Given that truly hedonistic array of amenities, plus the cockpit’s spaciousness and the smooth (if not exactly sporty) response of the powertrain, the Maxima SR’s sticker is the ace up its sleeve: just $40,300 all-in, including the Midnight Edition package and $450 worth of splash guards and floor/trunk mats. That’s a lot of car for the bucks. 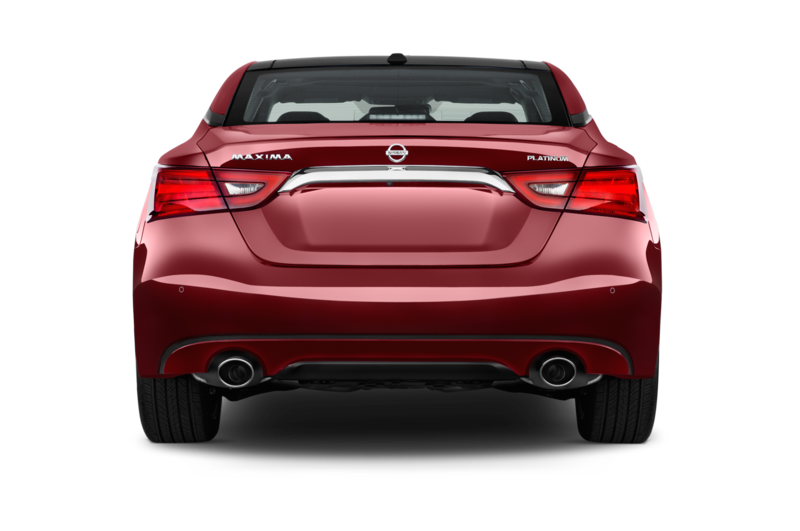 Bonus: an EPA rating of 30 mpg on the highway. 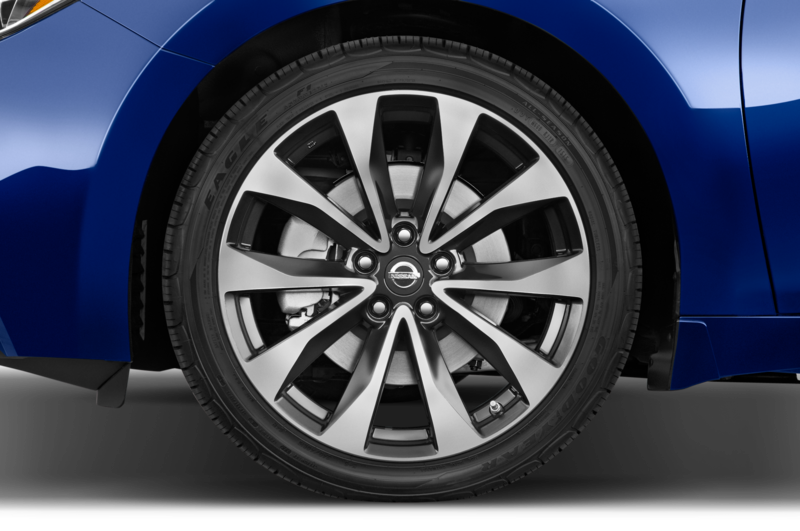 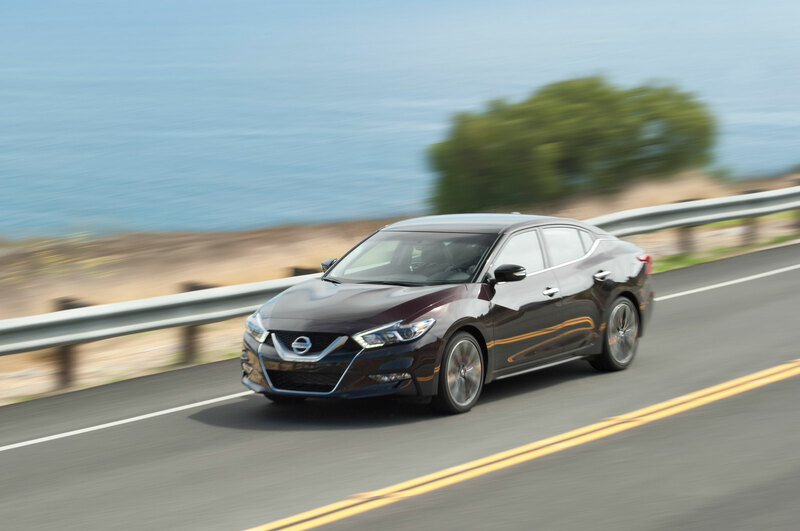 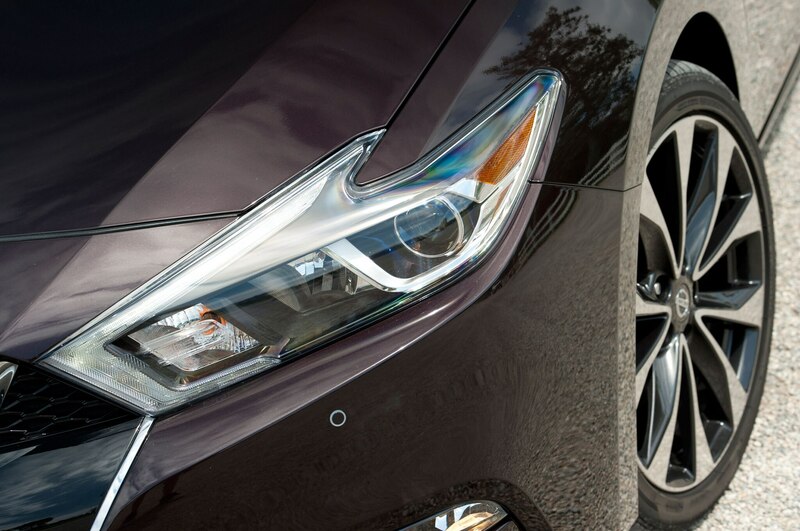 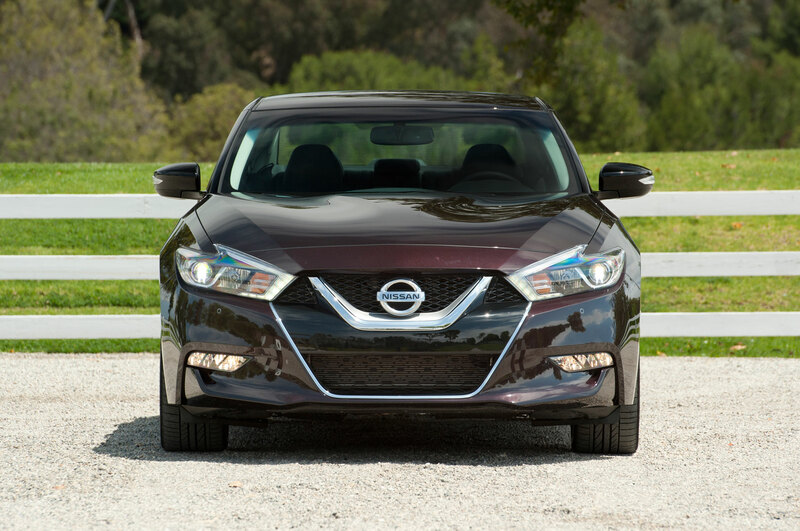 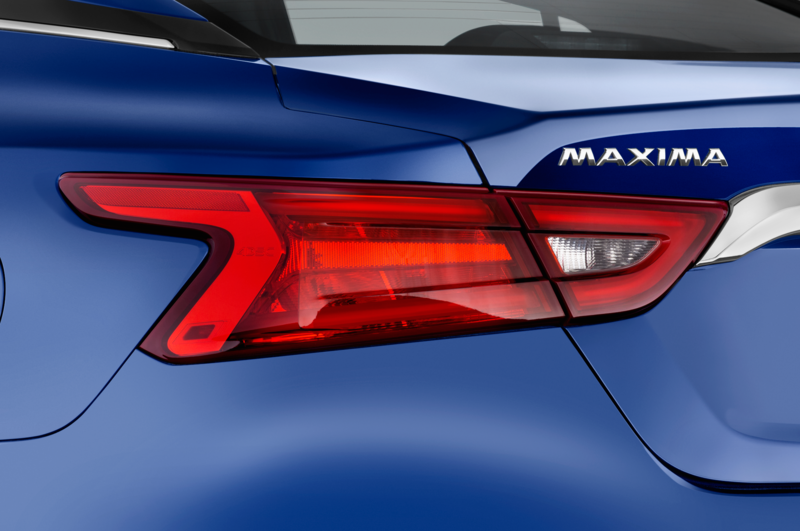 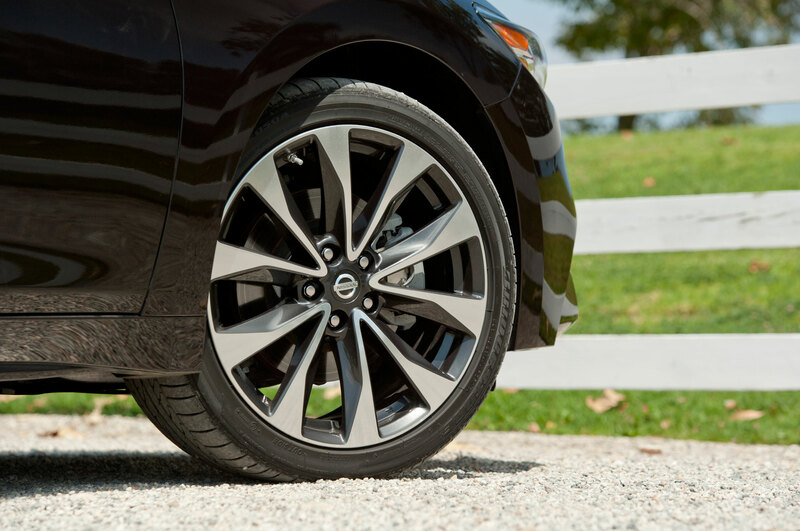 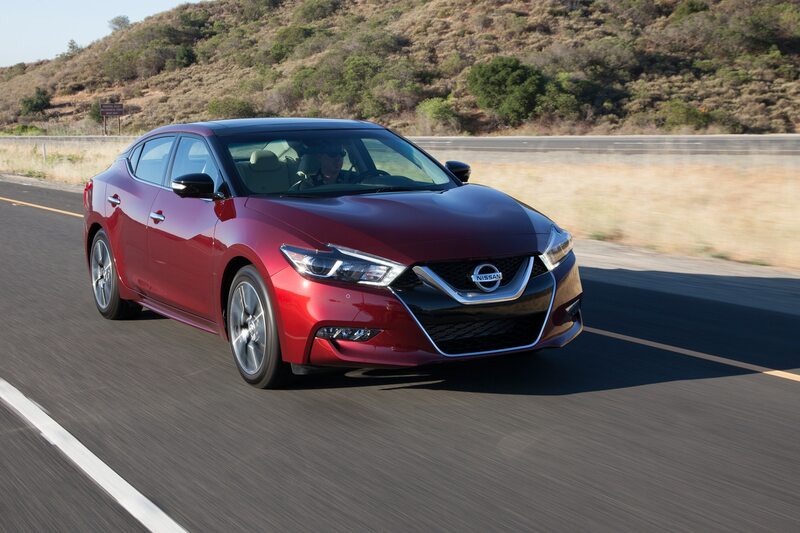 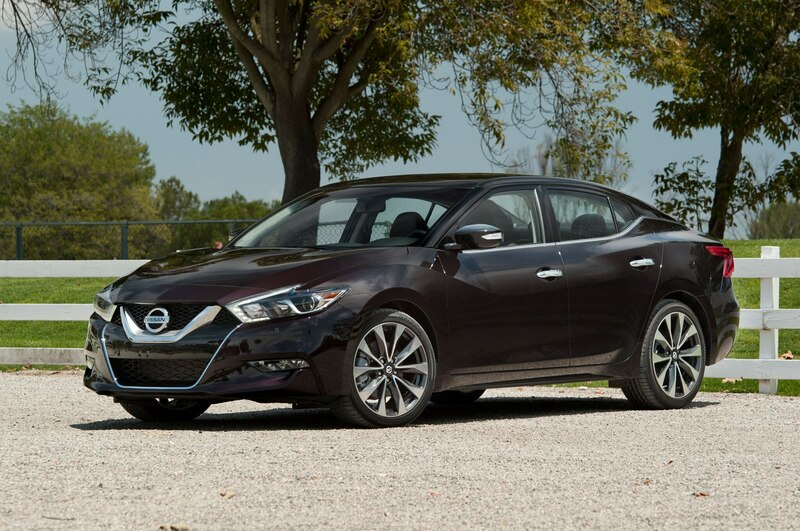 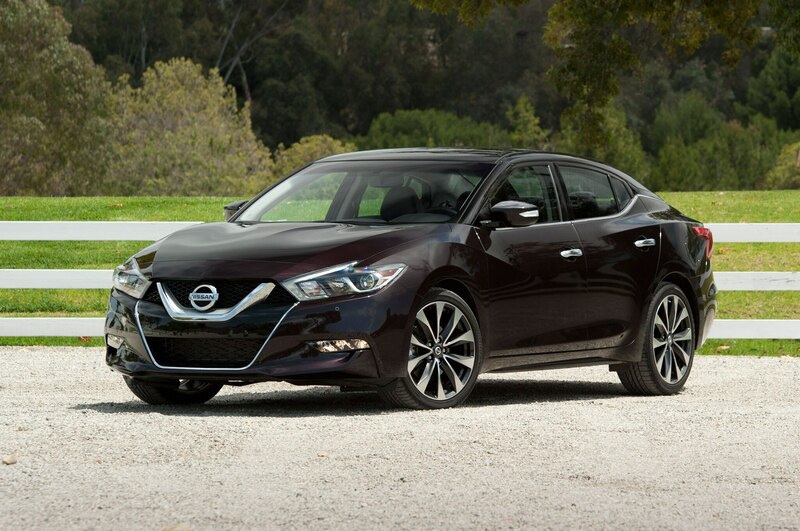 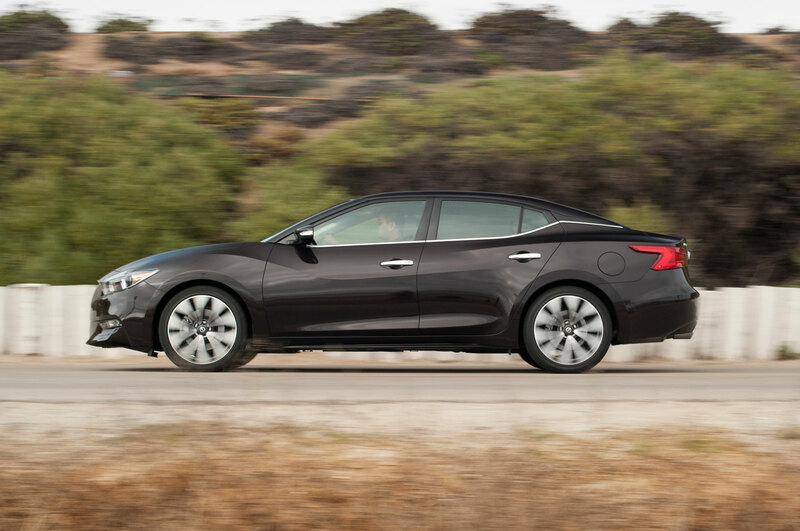 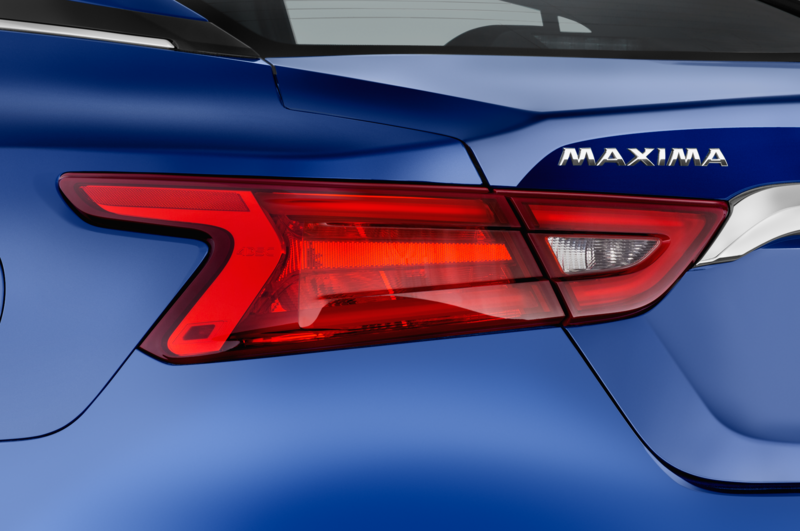 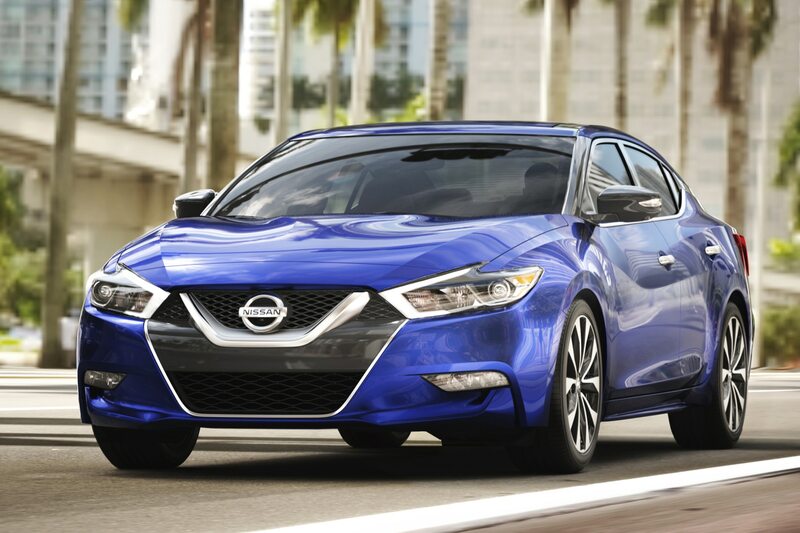 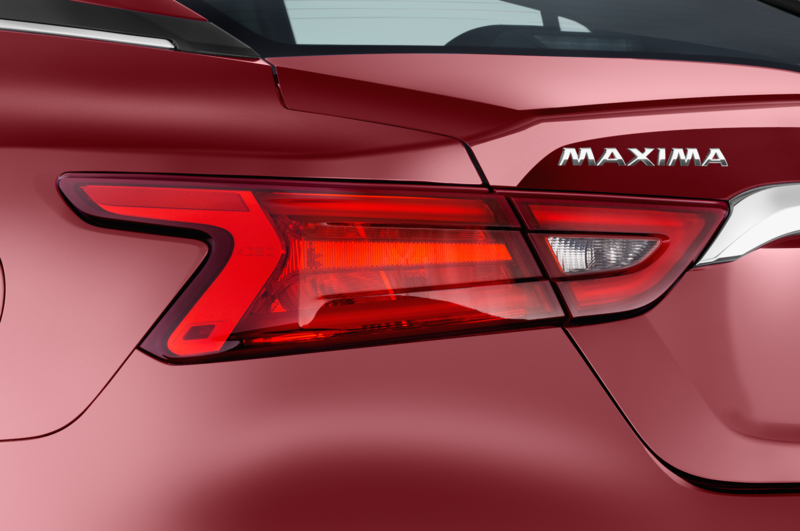 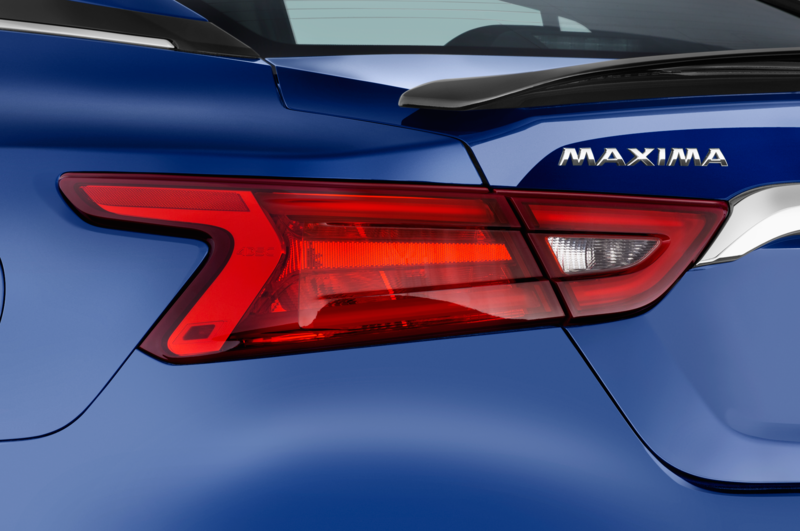 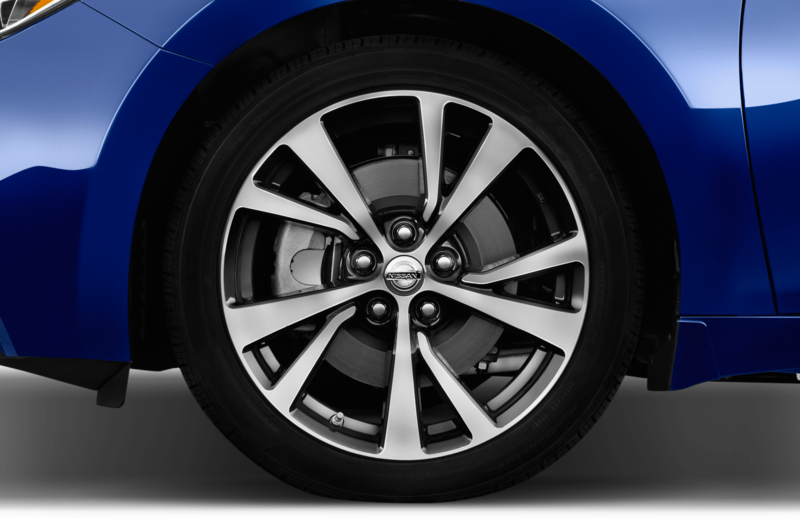 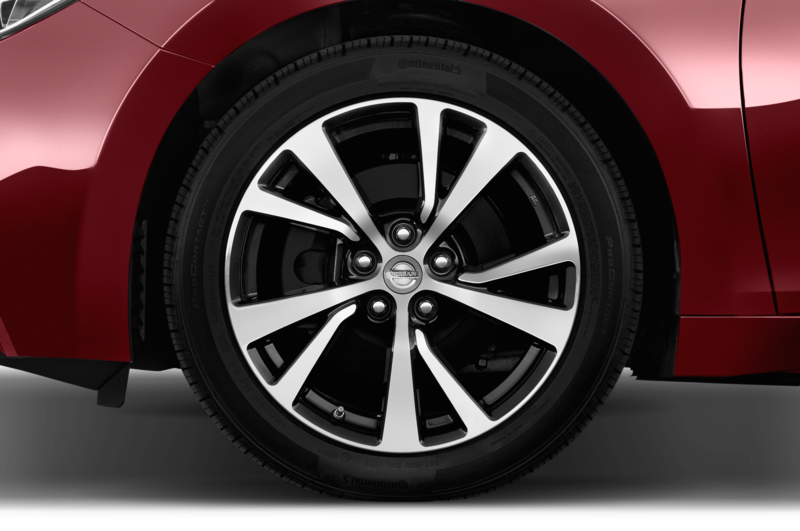 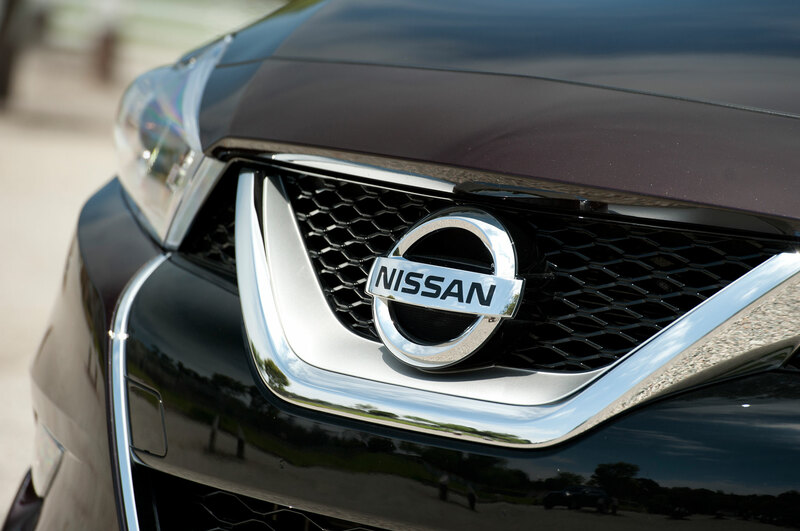 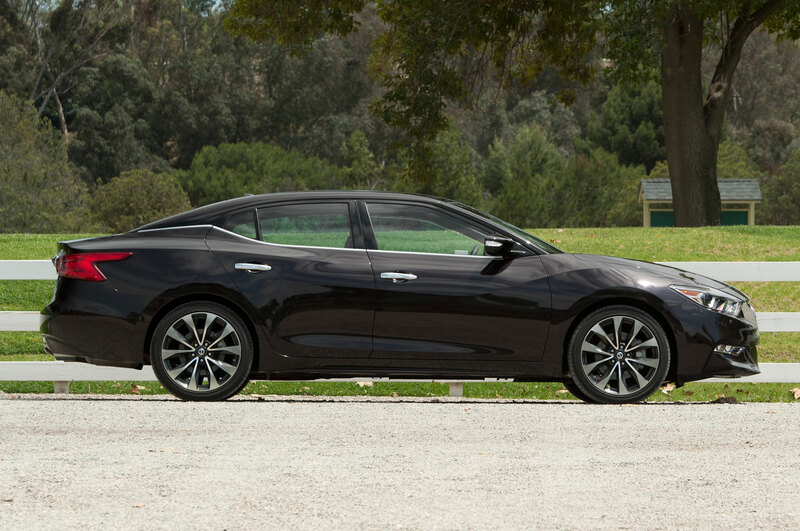 What’s more, the Maxima is smartly thought-out. 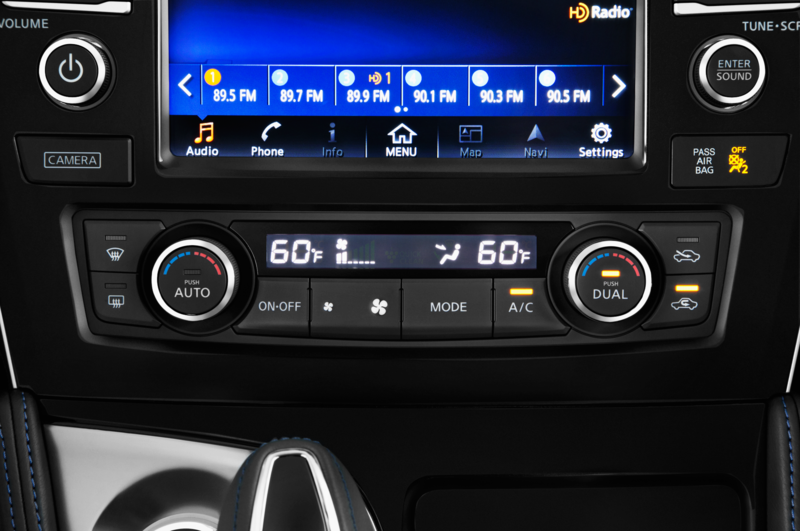 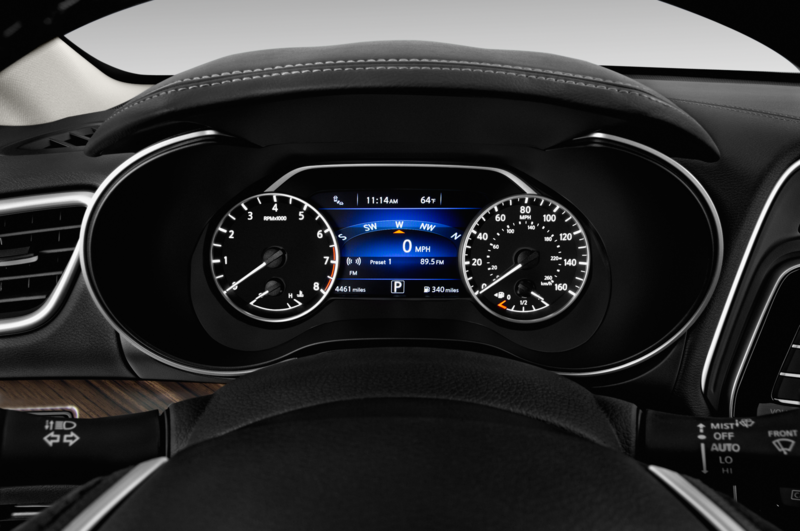 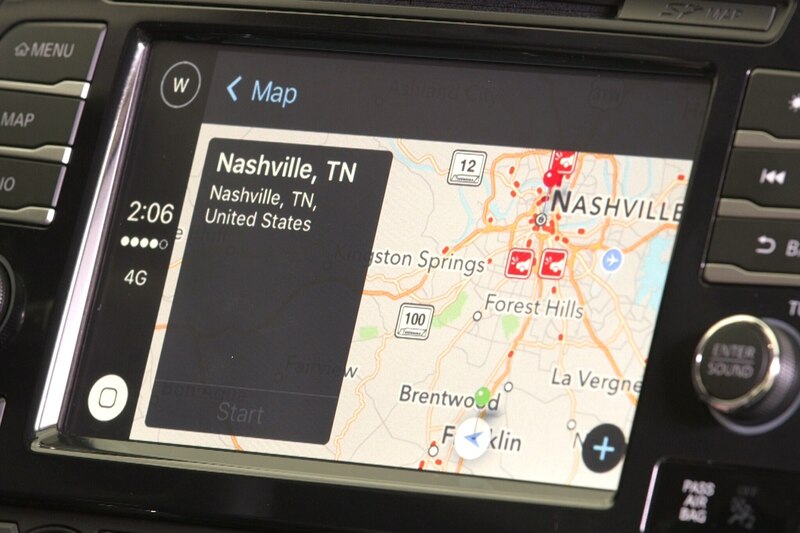 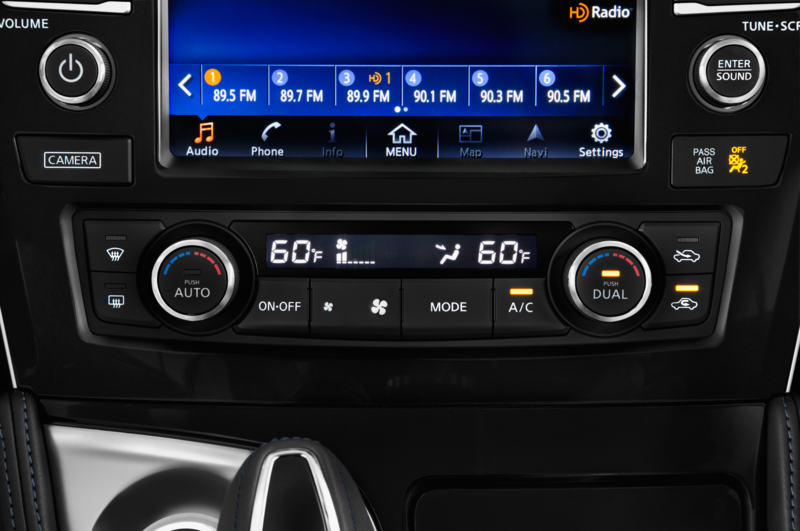 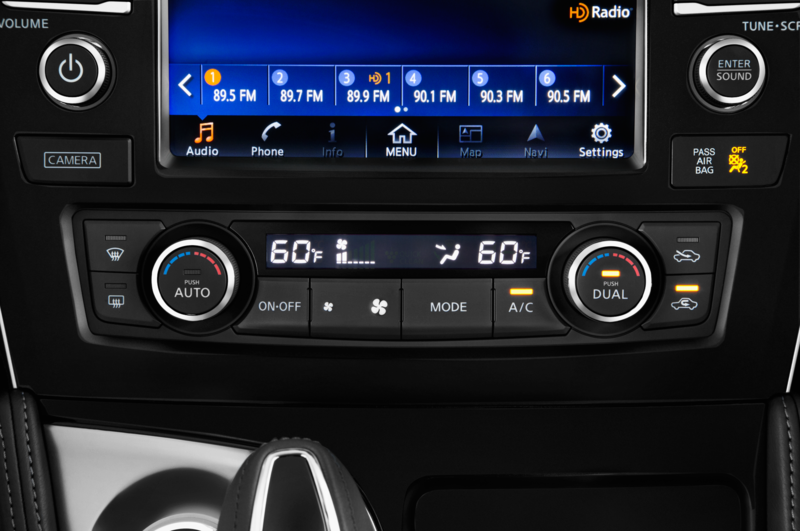 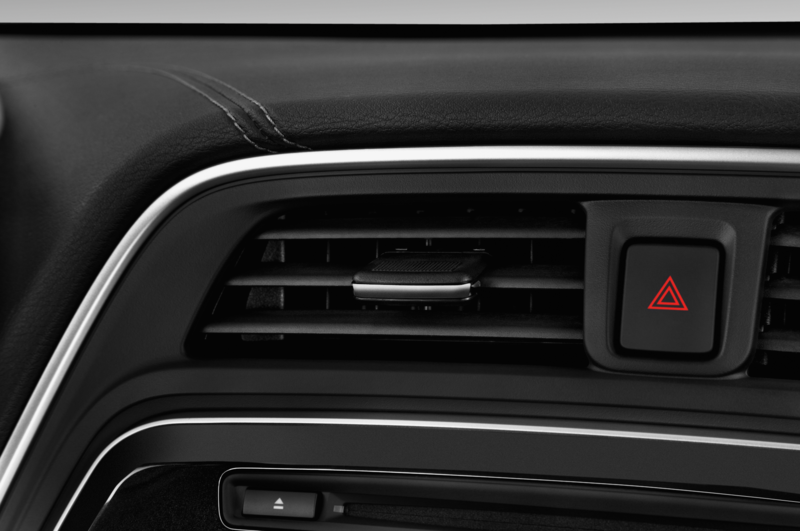 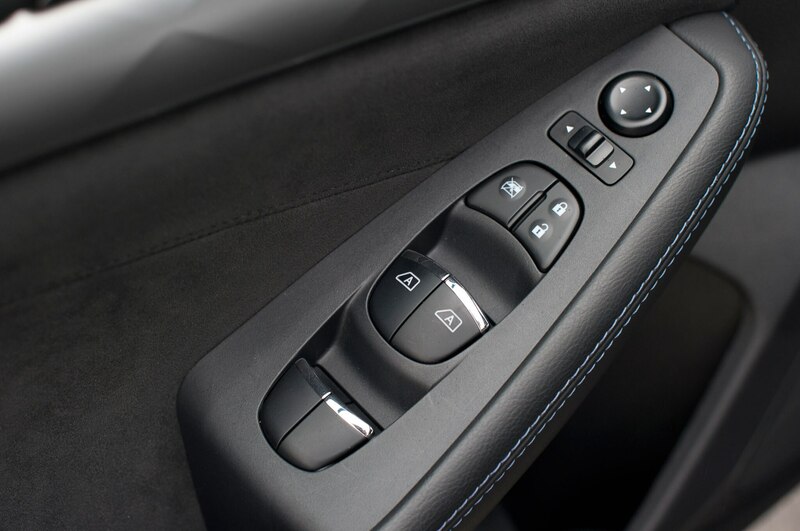 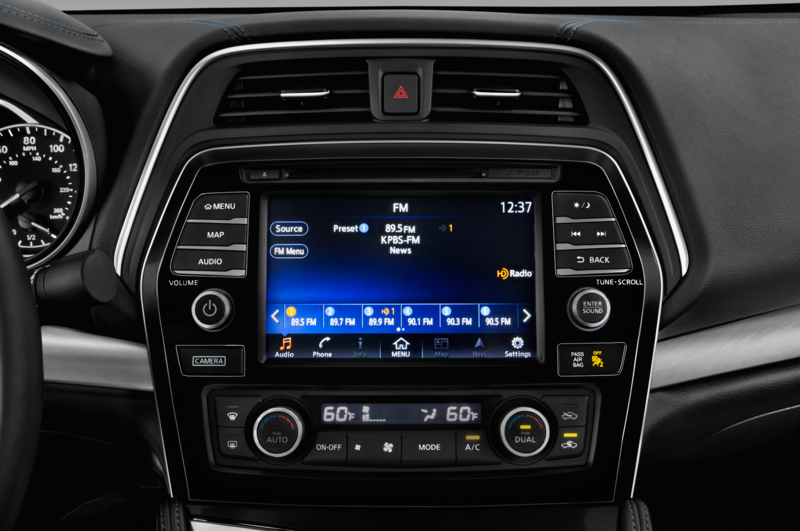 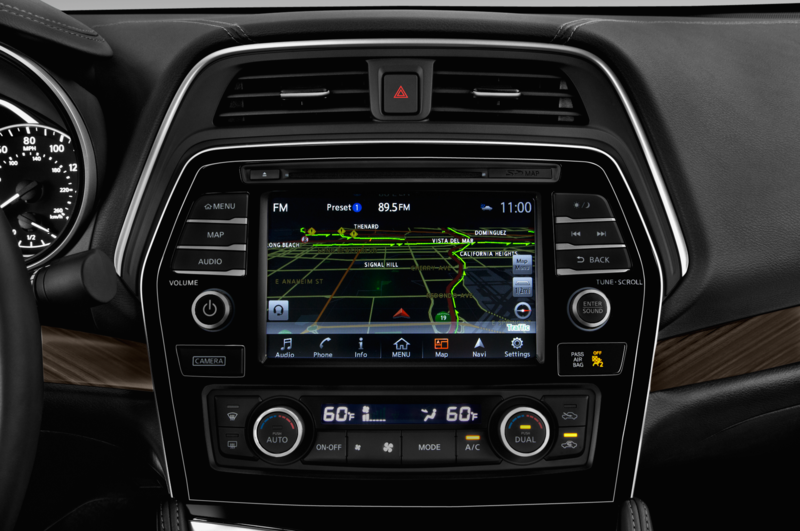 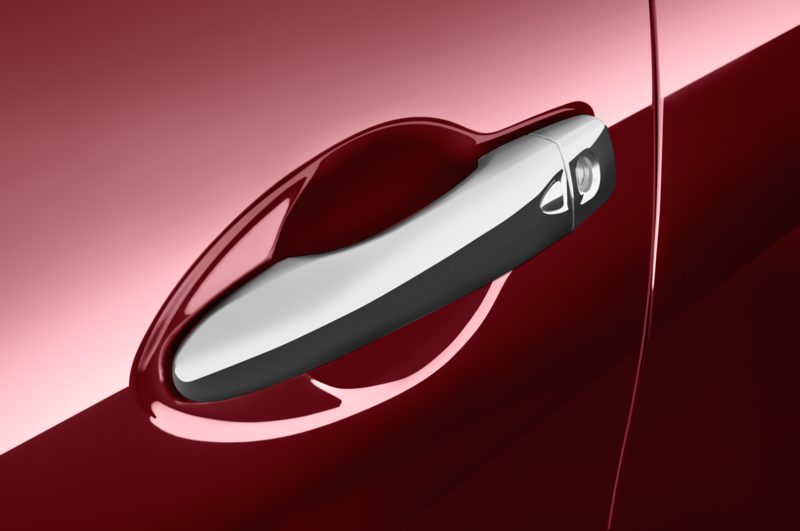 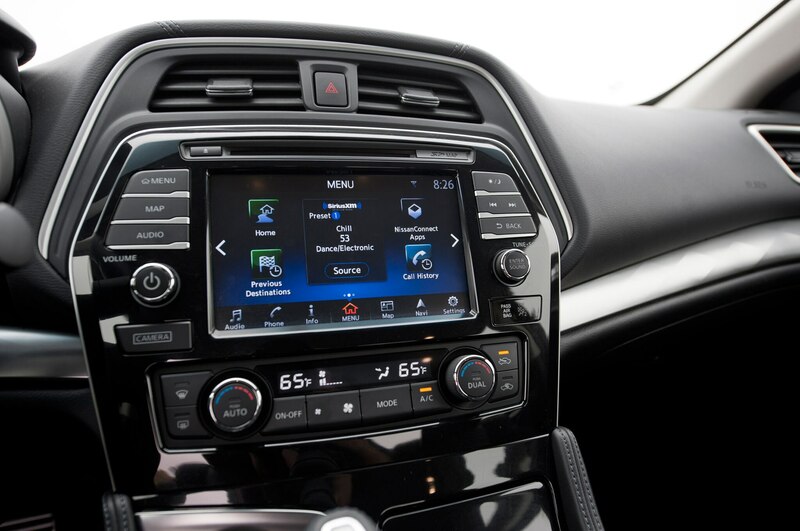 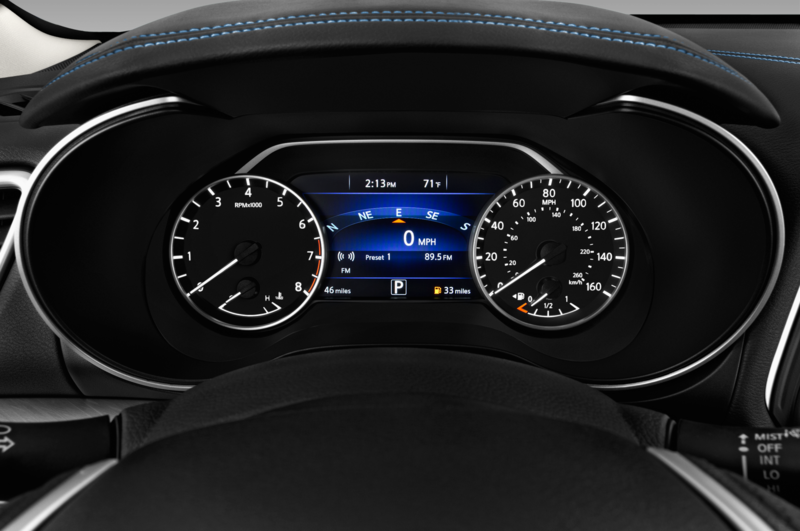 The central color touchscreen is easy to navigate and use. 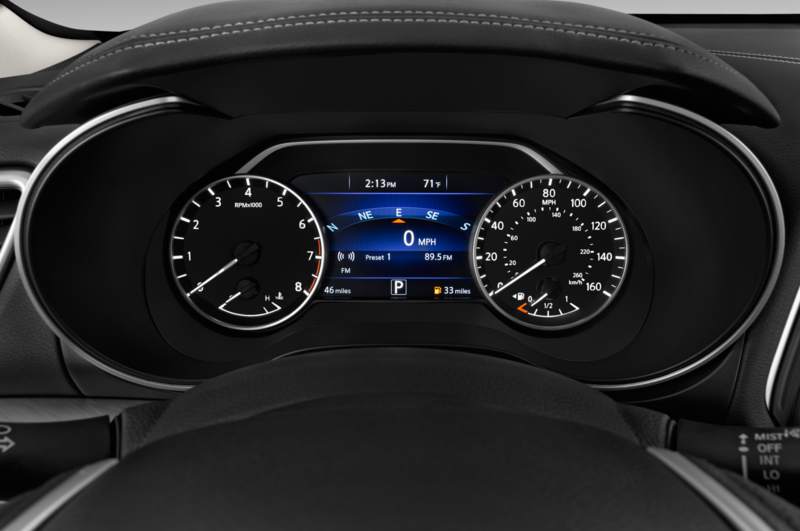 Gauges are big and clear. 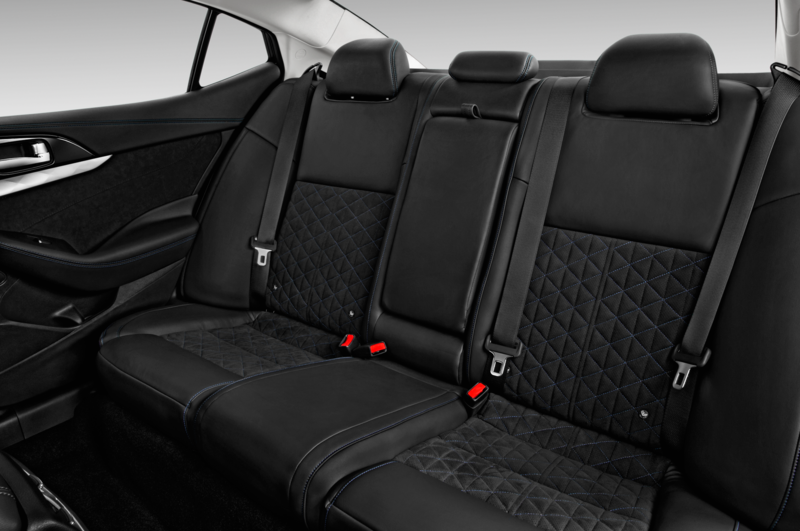 The seats (8-way power for the driver) look and feel superb. 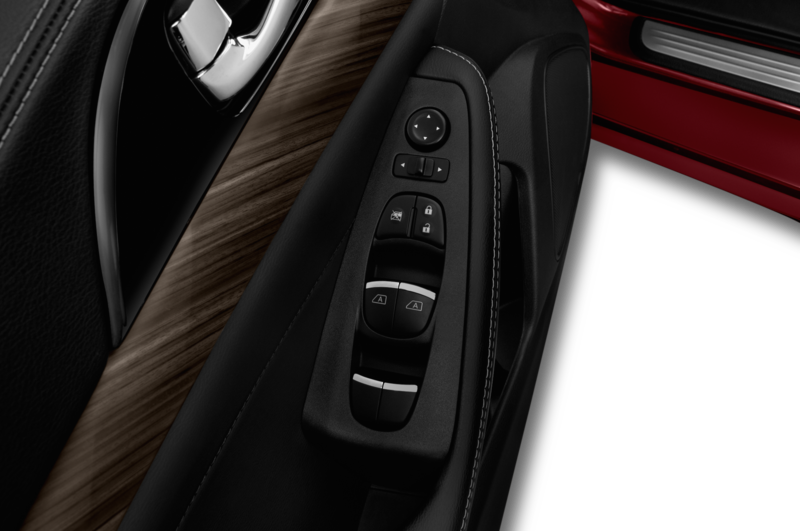 Fit and finish is top-notch all around. 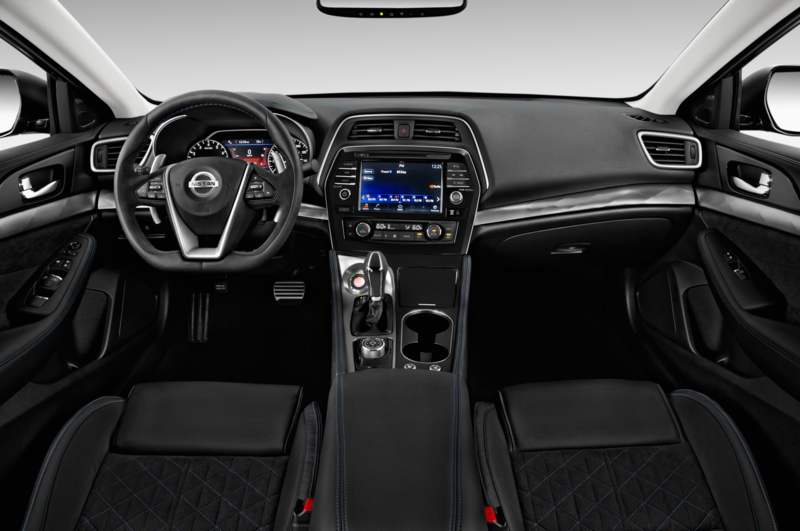 The cockpit is quiet, thanks to laminated glass and active noise cancellation (it works through the audio system much like Bose’s renowned noise-cancelling headphones). 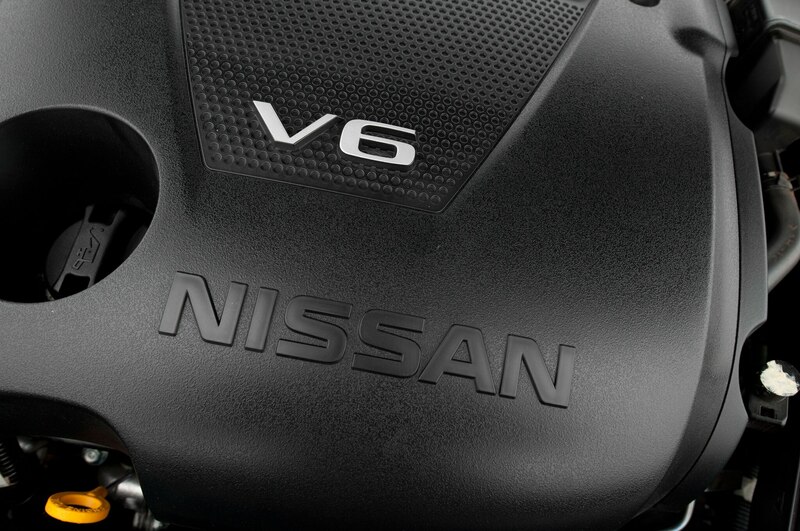 And Nissan has done the details right. 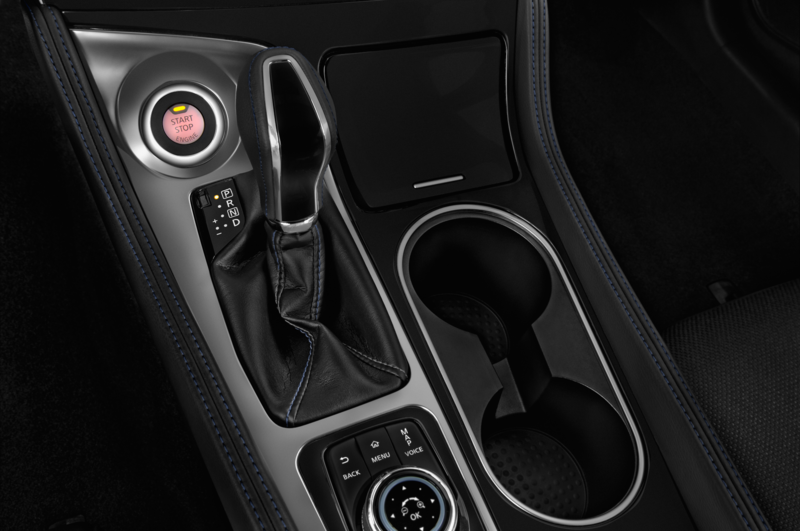 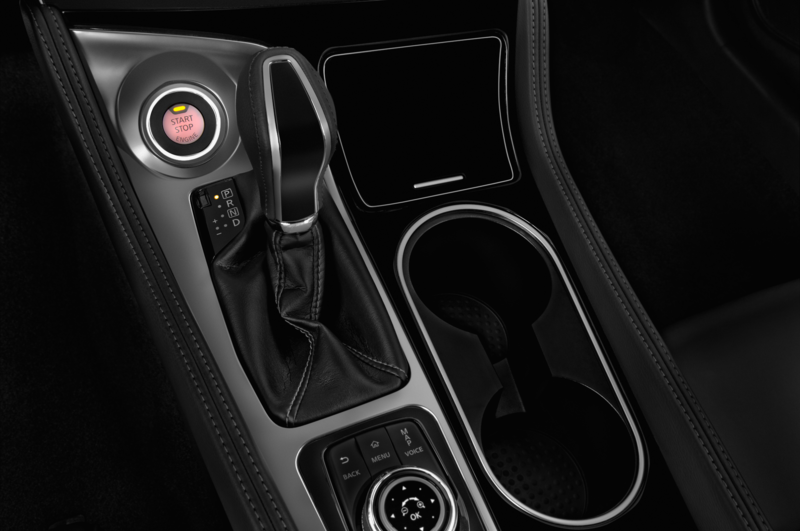 Standard on the SR is an “Ascot” heated, leather-wrapped steering wheel with a perforated Alcantara insert in its center. 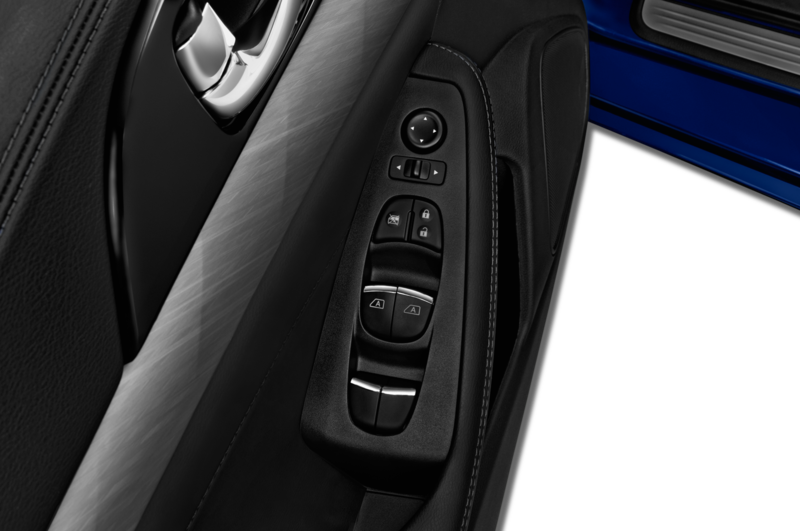 Every time I wrapped my hands around it at 3 and 9 o’clock, my fingertips did a happy dance on the wheel’s cushy-soft backside. 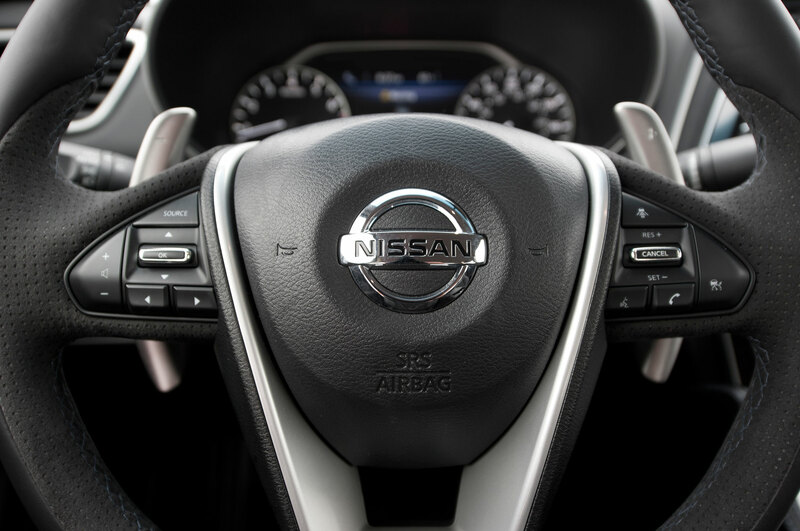 It’s a direct, gratifying connection that plays straight to your brain’s pleasure centers.